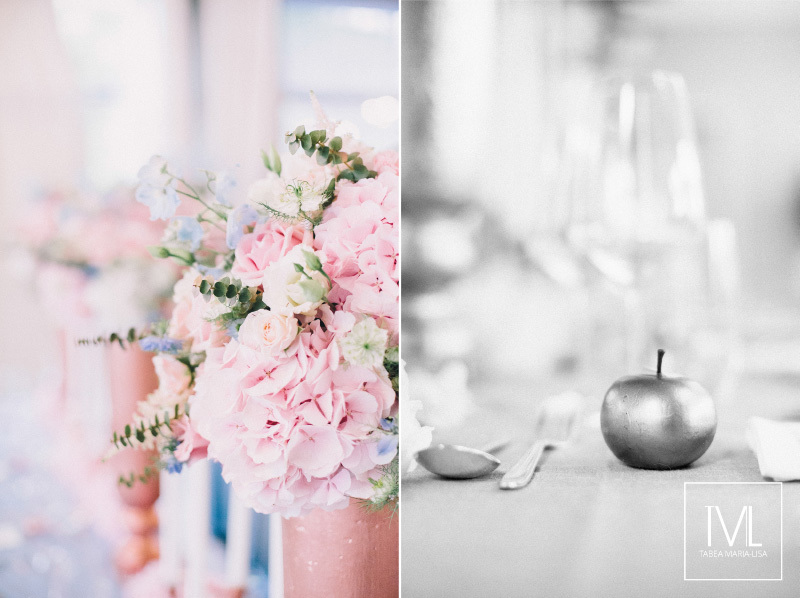 One year ago M. & E. contacted me, telling me that they both are thrilled about our work. 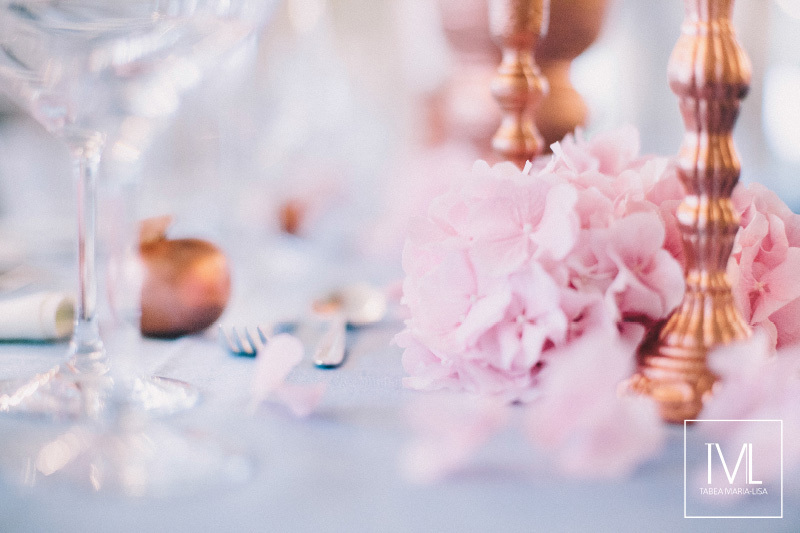 And after a first talk on the phone I was quite excited and hoped that they would come for a meeting because I realized they both have a very sensitive feeling for beautiful things. 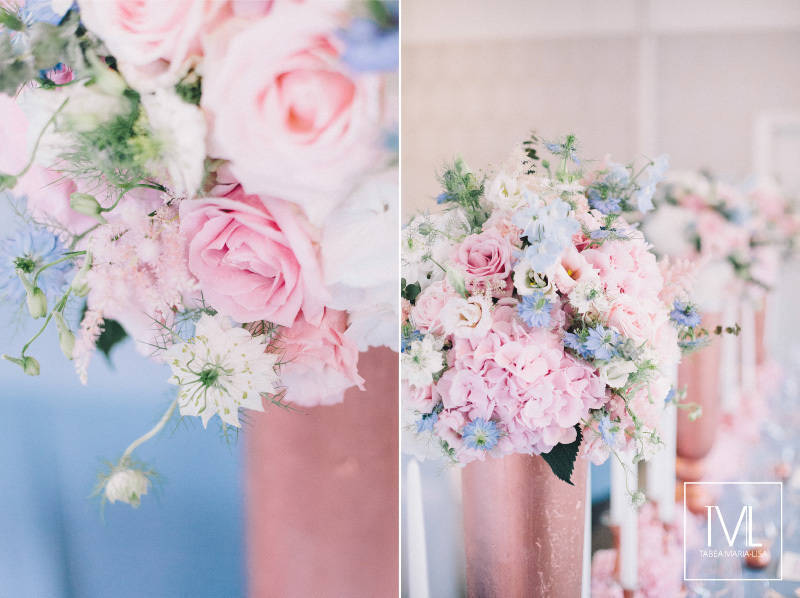 But one week later they told me that a wedding styling by yours truly would be way over their budget, so they willy-nilly had to ask someone else to do their flowers. 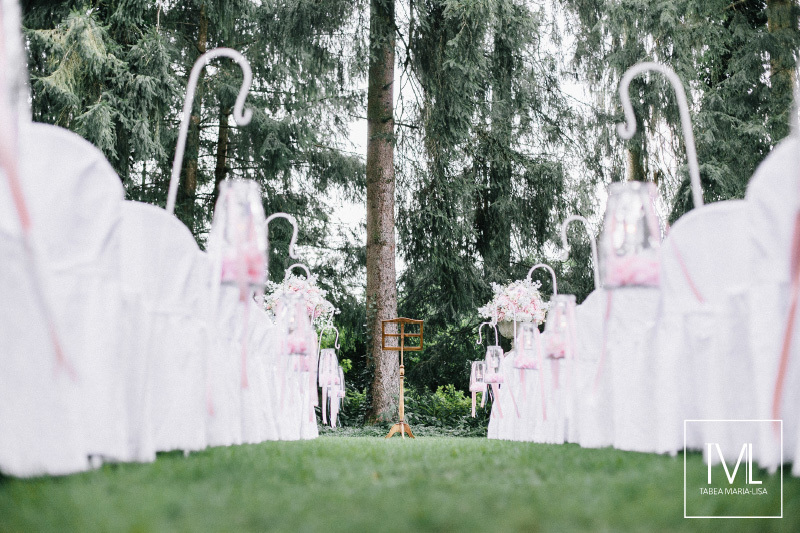 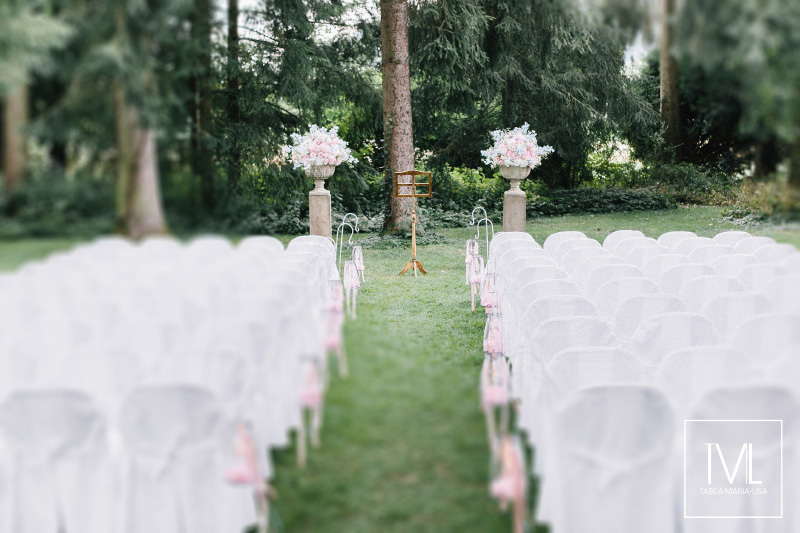 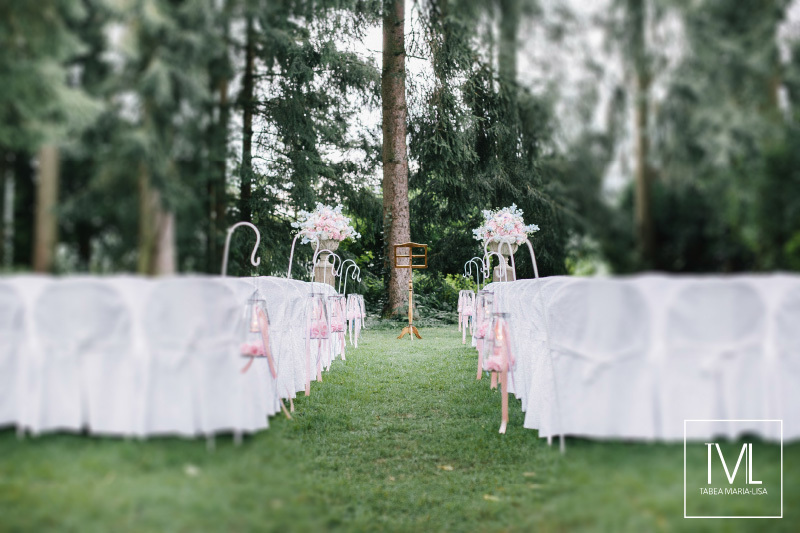 Gradually our agenda was filled with more and more weddings for July 2016. 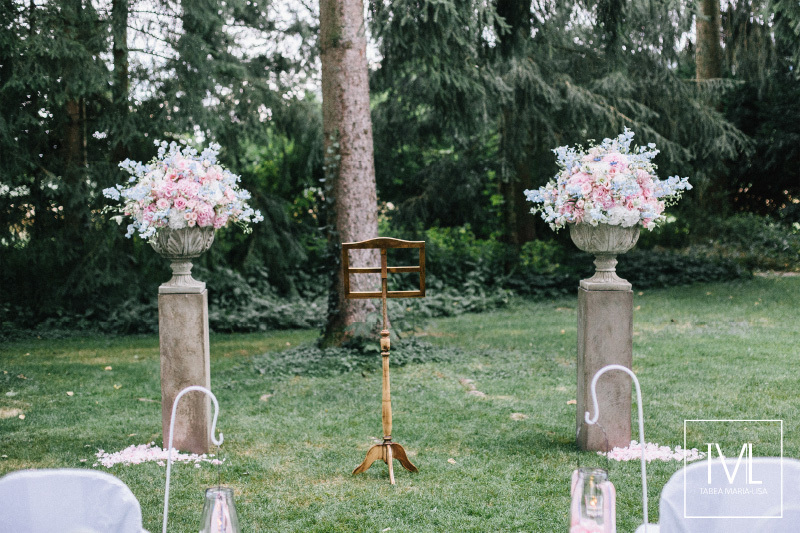 We had to reject several requests but strangely we never got an other request for the saturday on which M. & E. would get married. 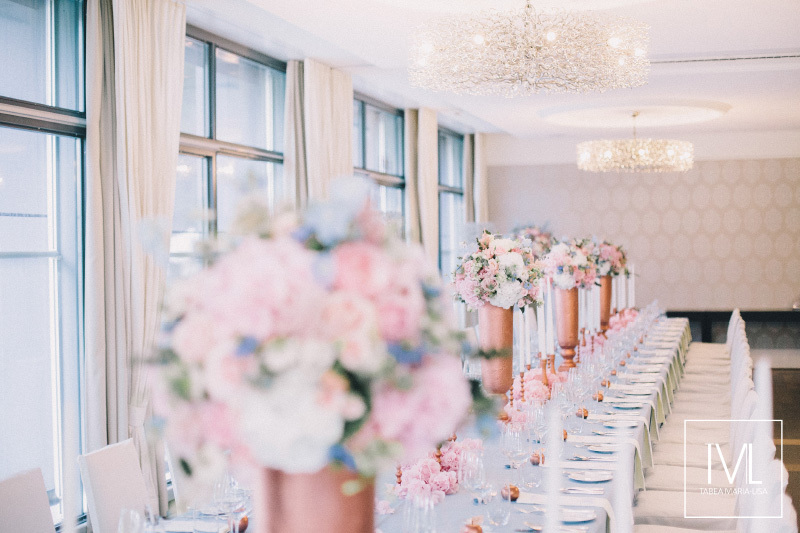 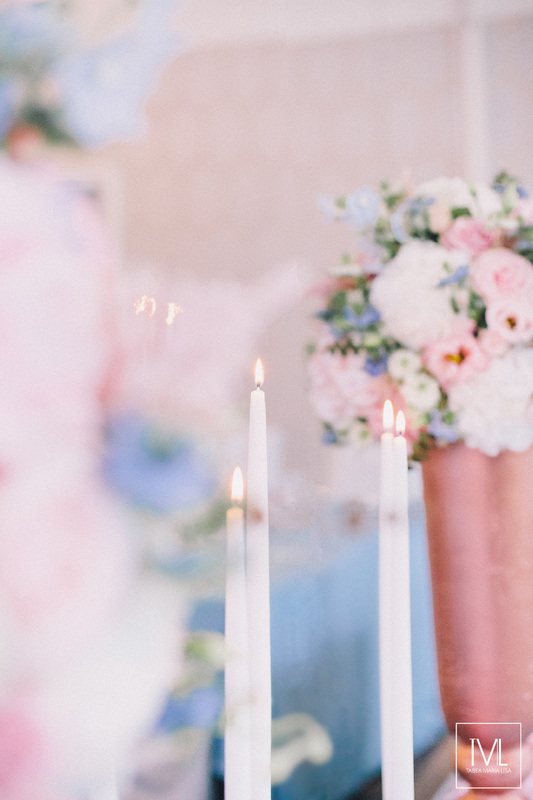 Then four months later M. & E. got back to me, telling me that we are for sure fully booked out but that they have reached out to quite a lot of other vendors but that there was no one who fits with their sense for aesthetics. 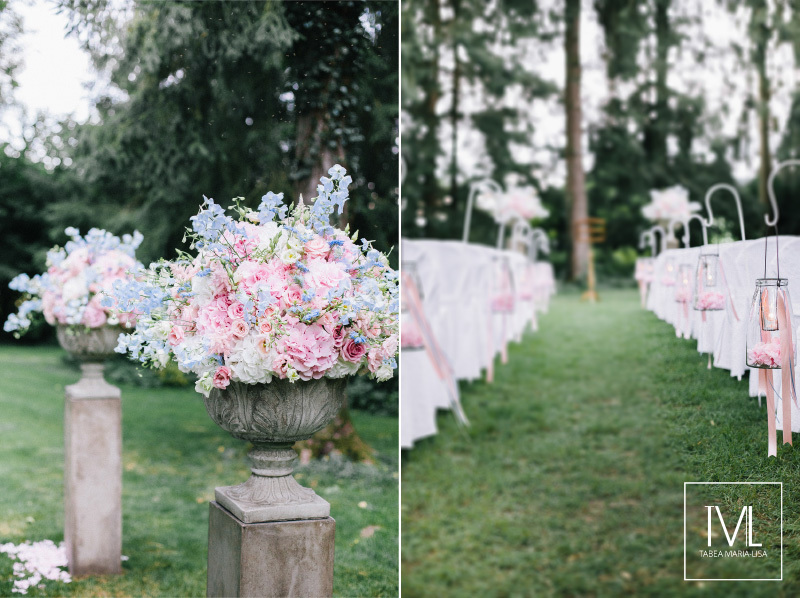 Well and the rest was just a blast! 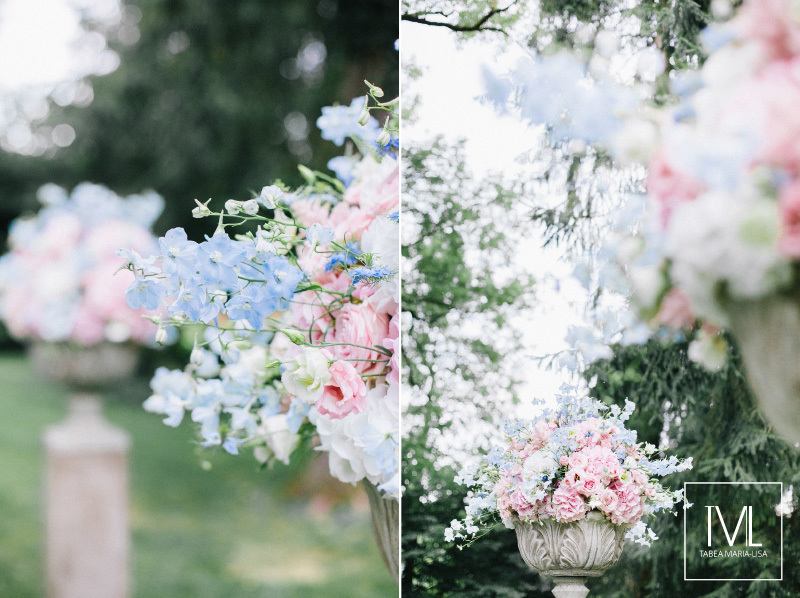 I know I am repeating myself but M. & E. as well were just dream clients. 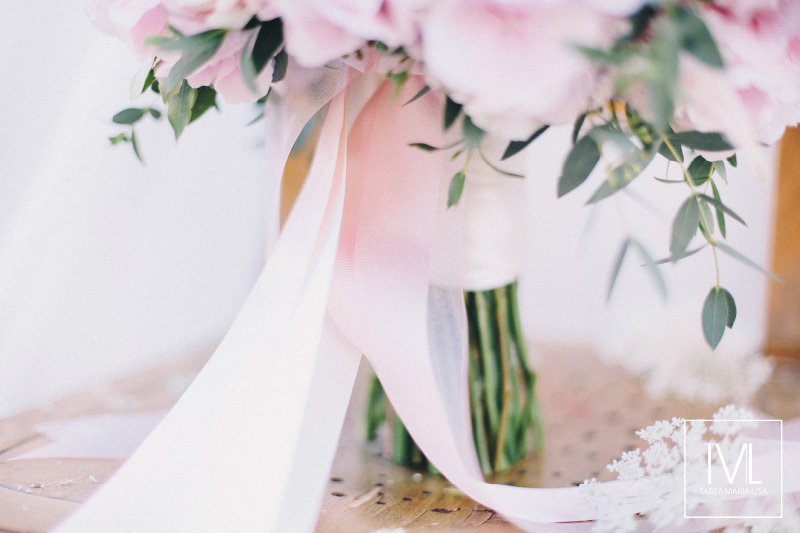 Our purpose is to witness love without any words and to maintain the beauty life holds for us. 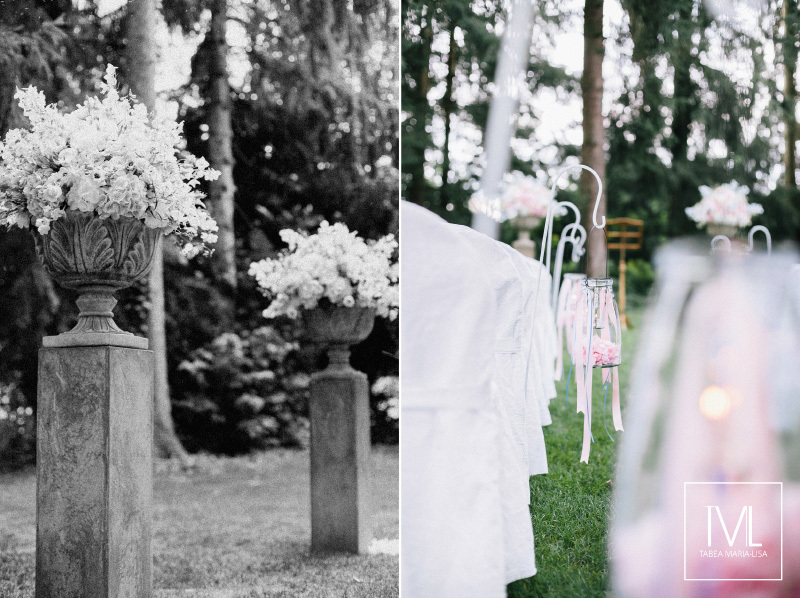 But when it comes to M. & E.’s wedding and the two of them, well, let’s say: They made our day. 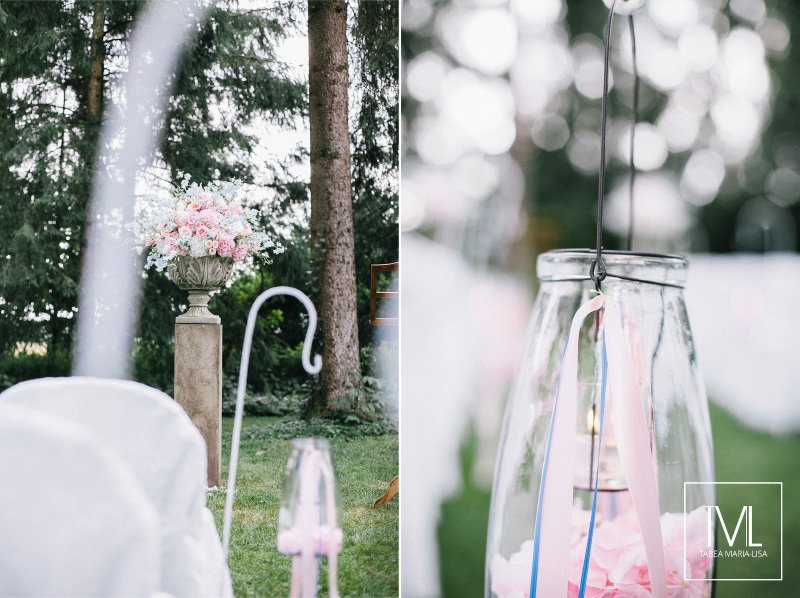 The sparkle in both of their eyes was just priceless, the wedding dress who was tailored by the mother of the bride was absolutely stunning and listening to some very talented musicians playing and singing outside while we were getting the reception ready, was a blast. 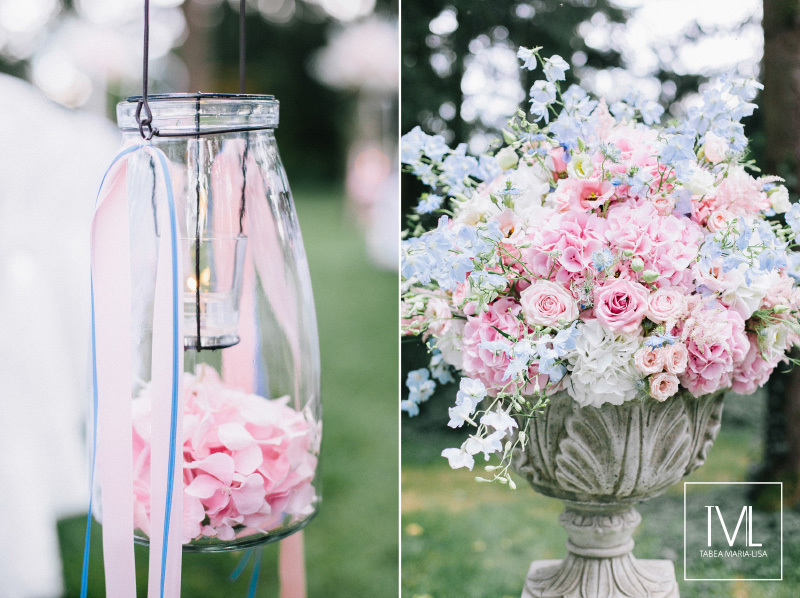 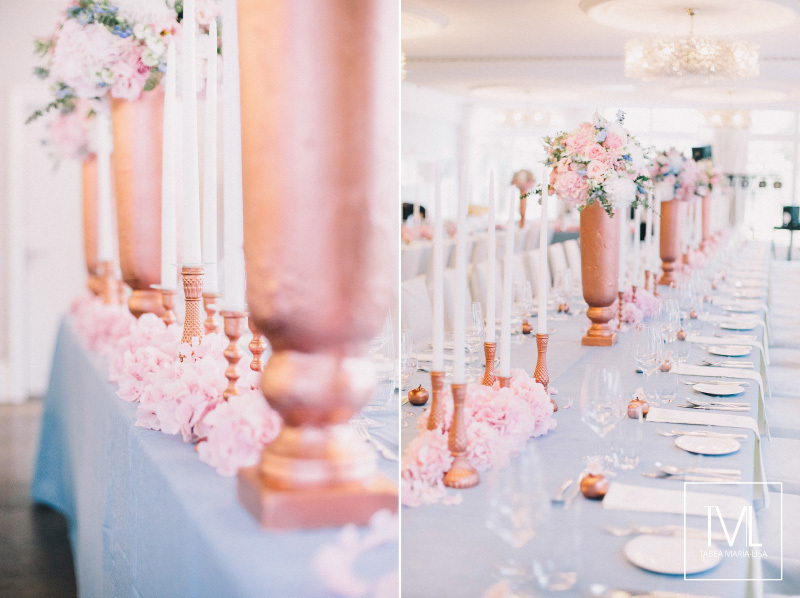 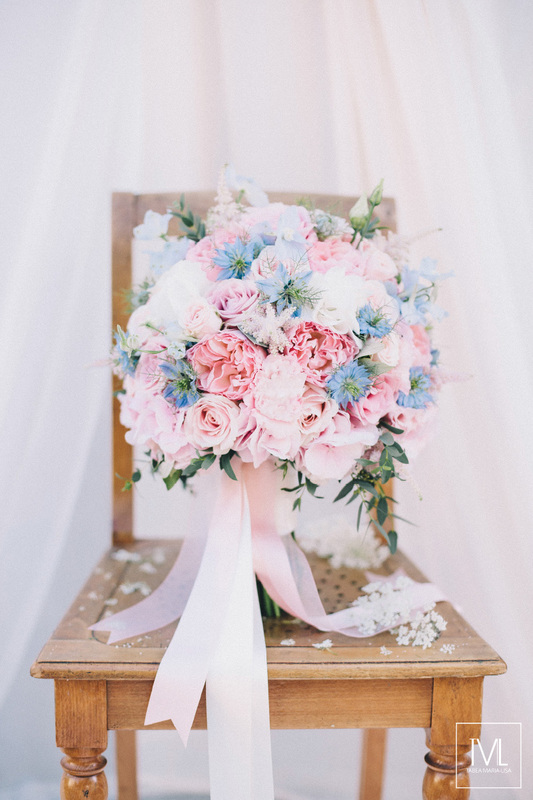 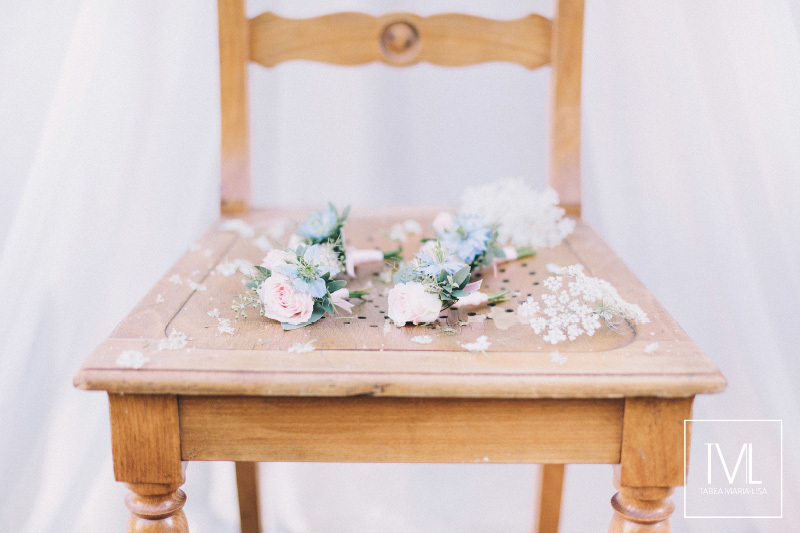 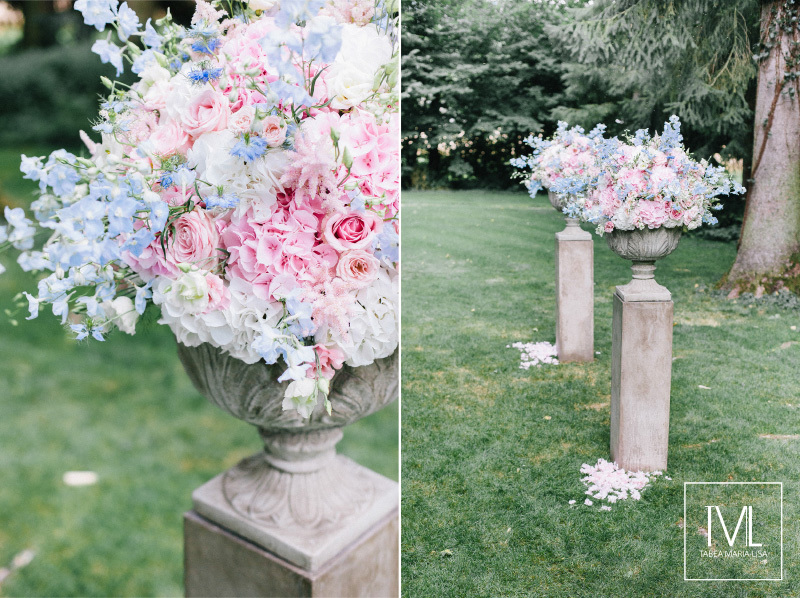 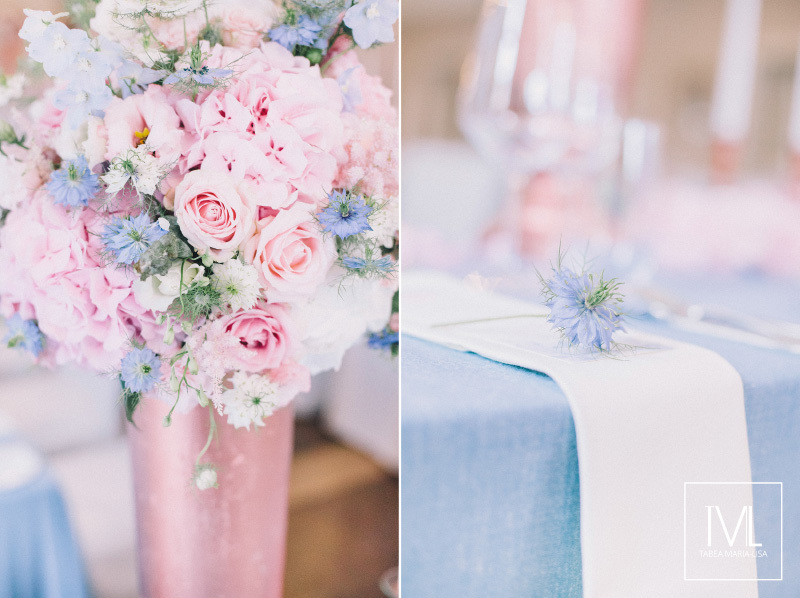 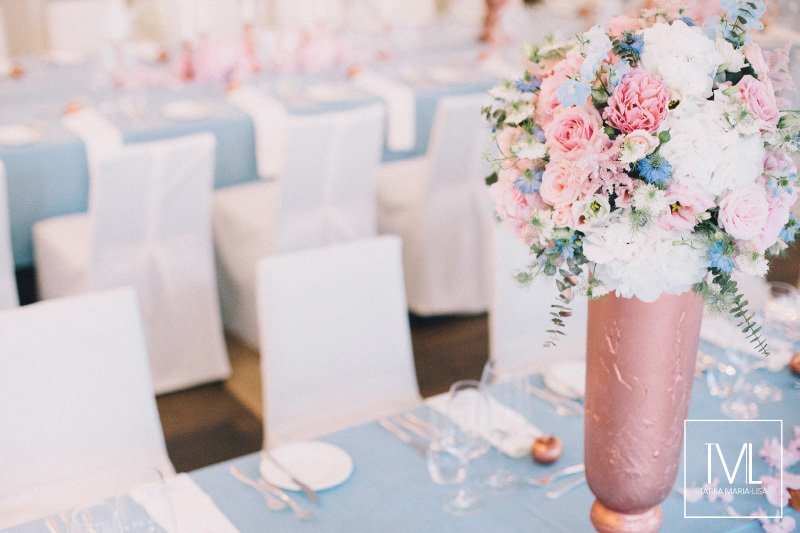 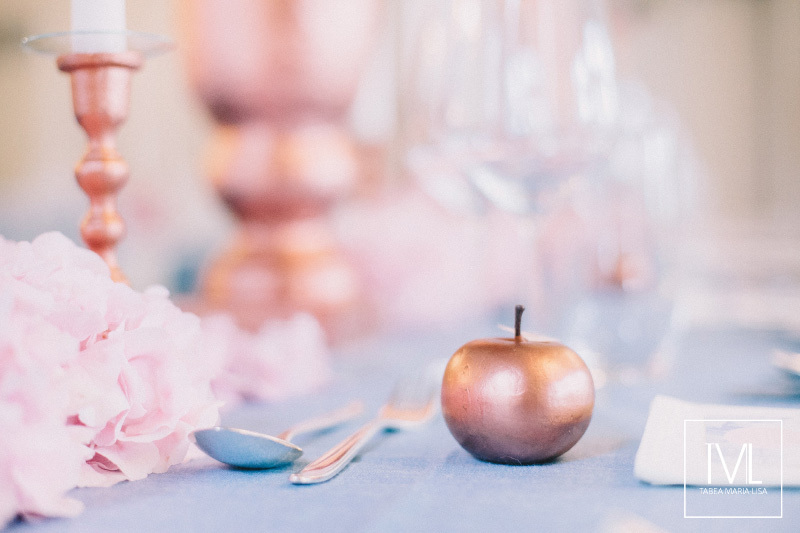 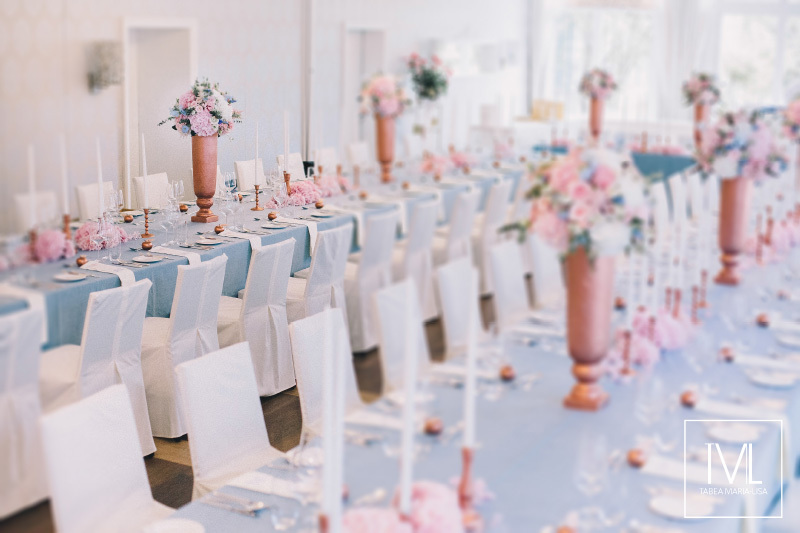 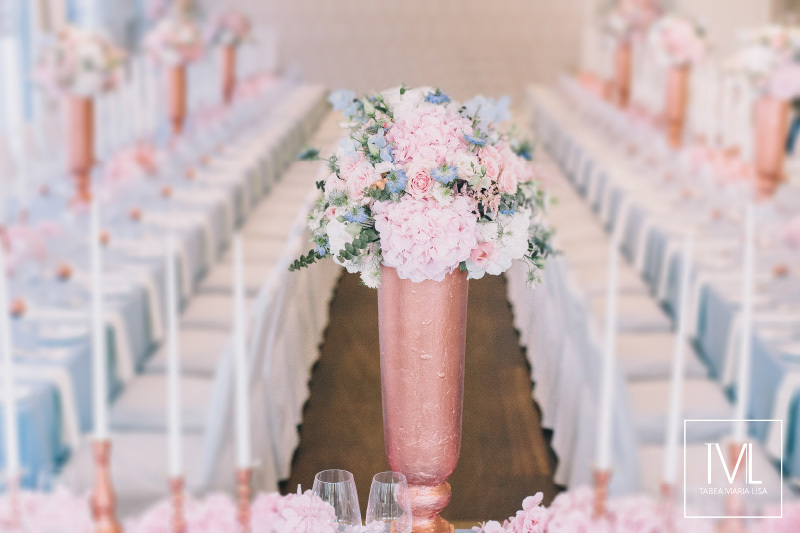 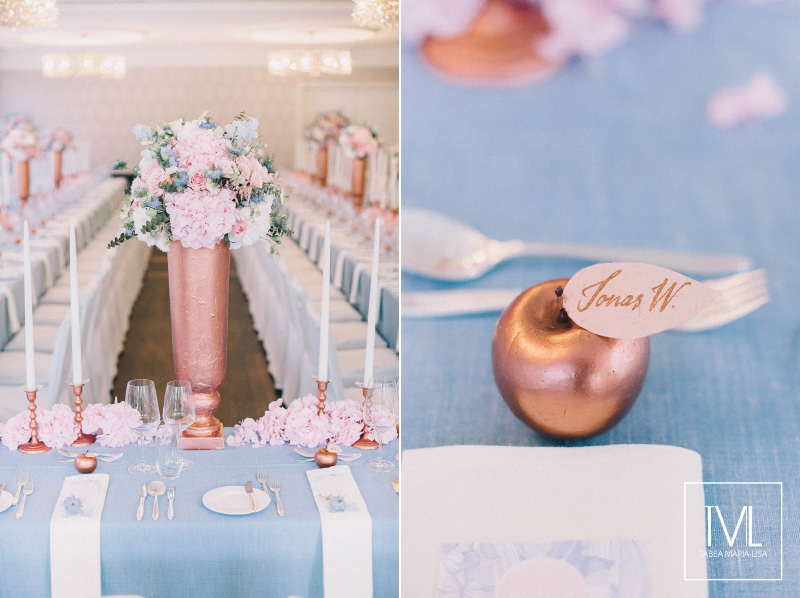 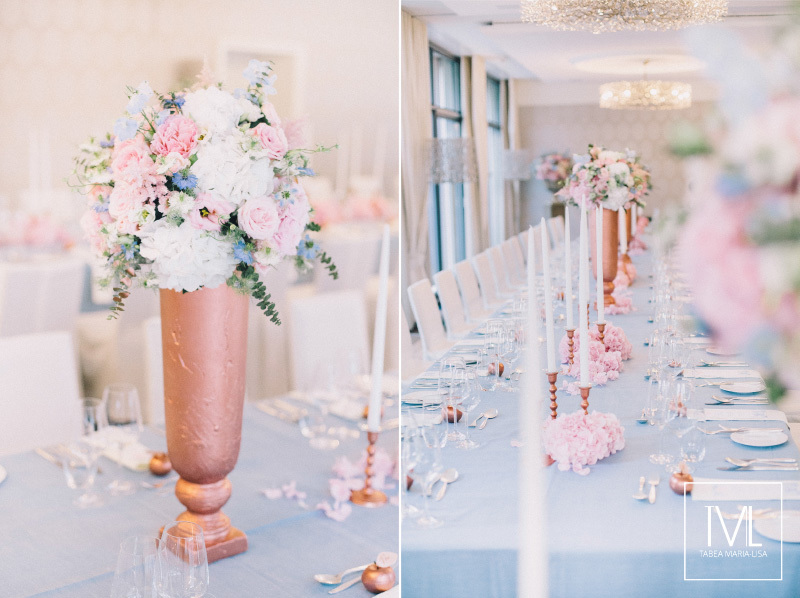 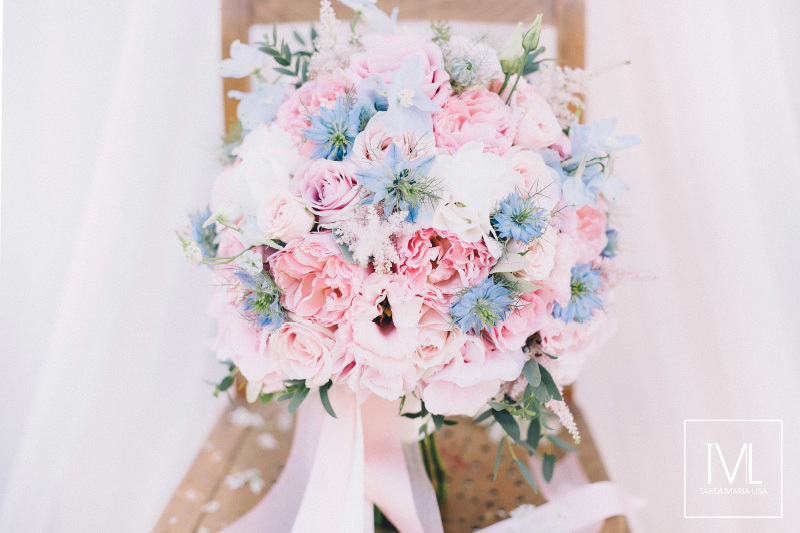 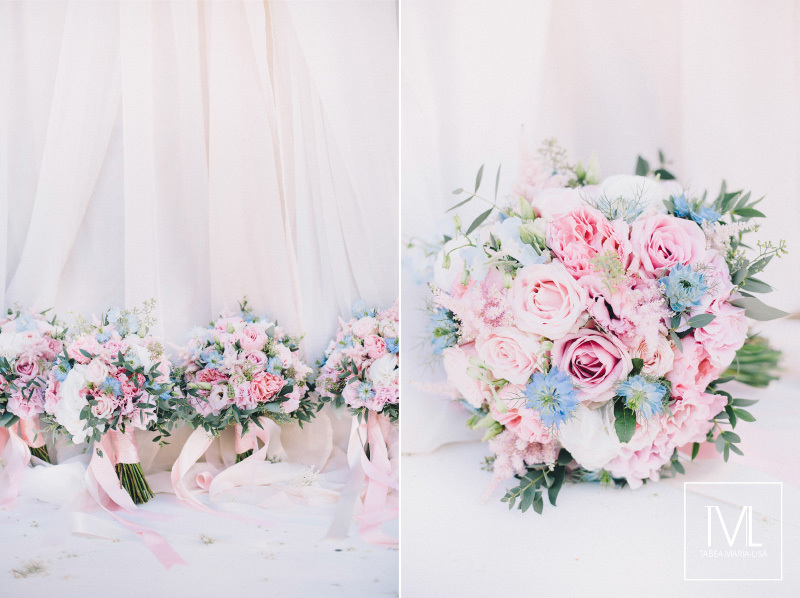 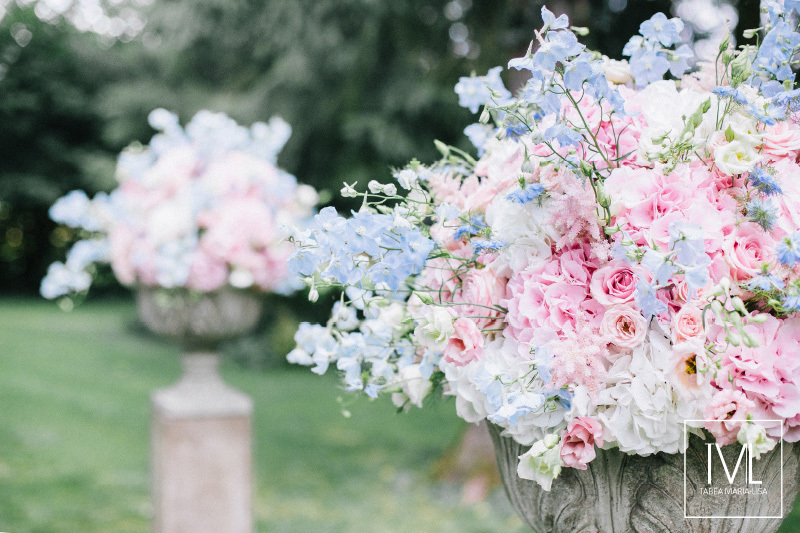 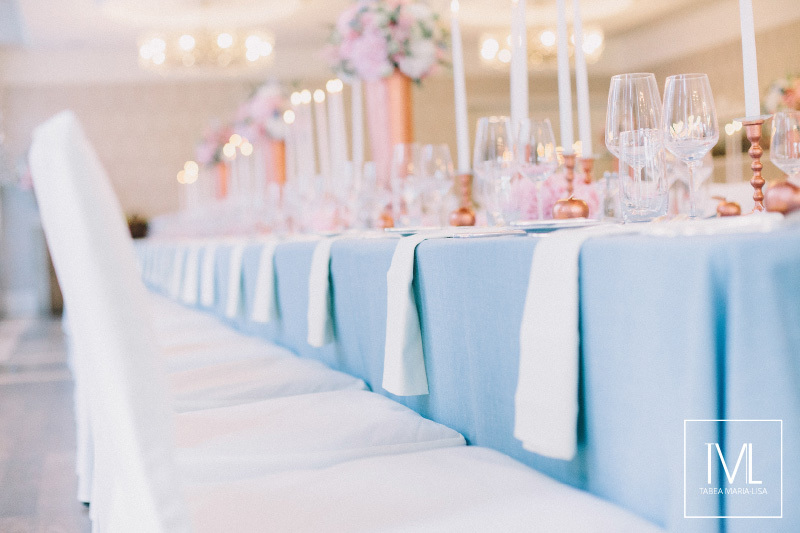 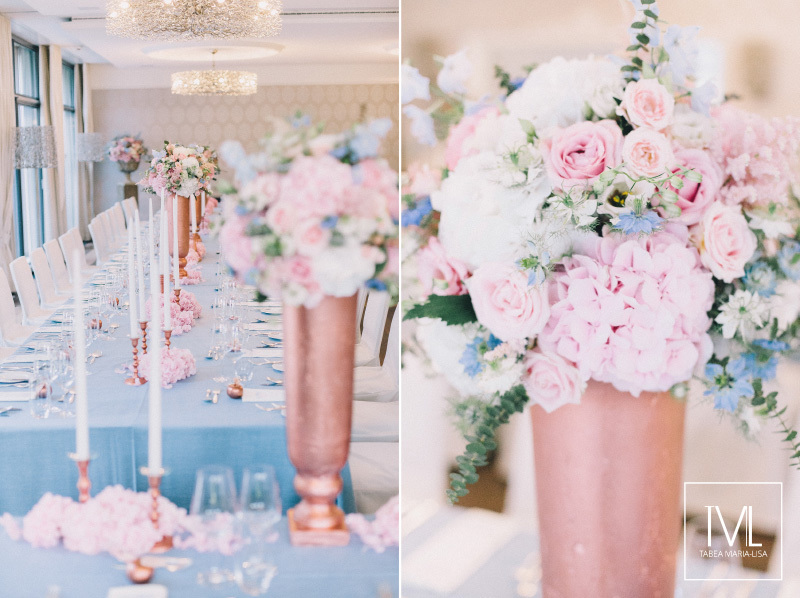 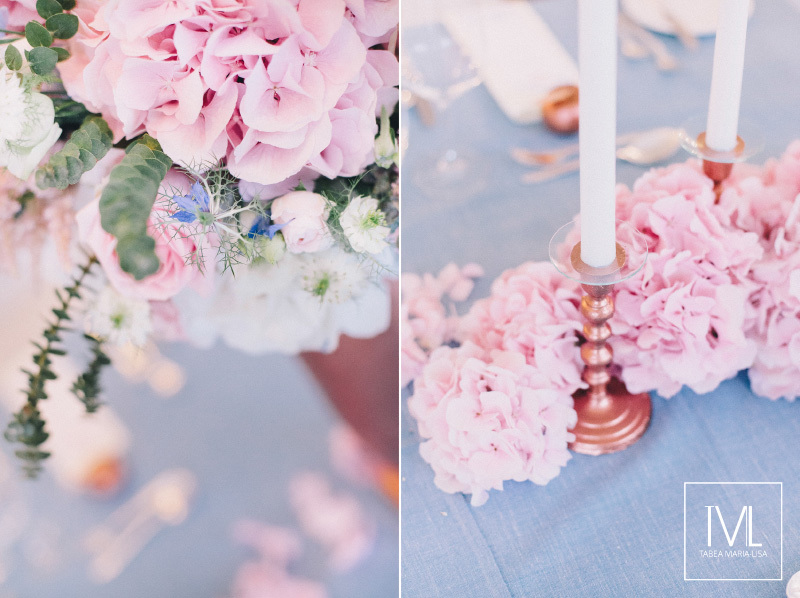 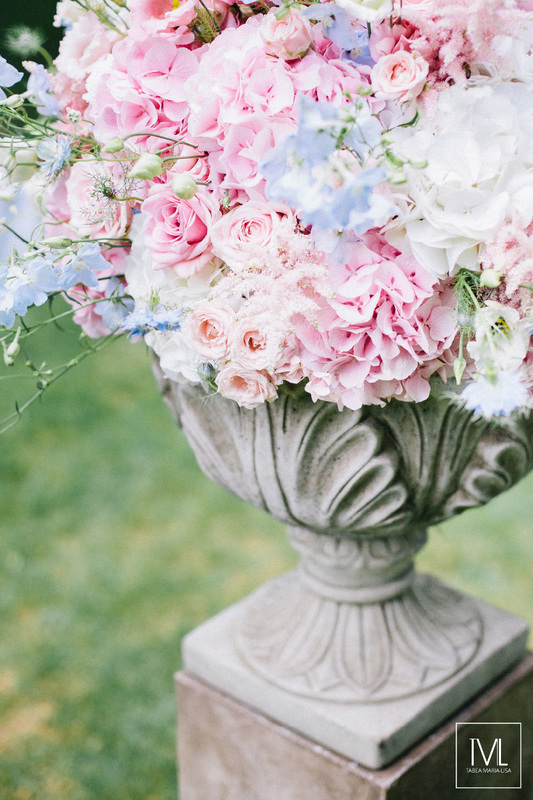 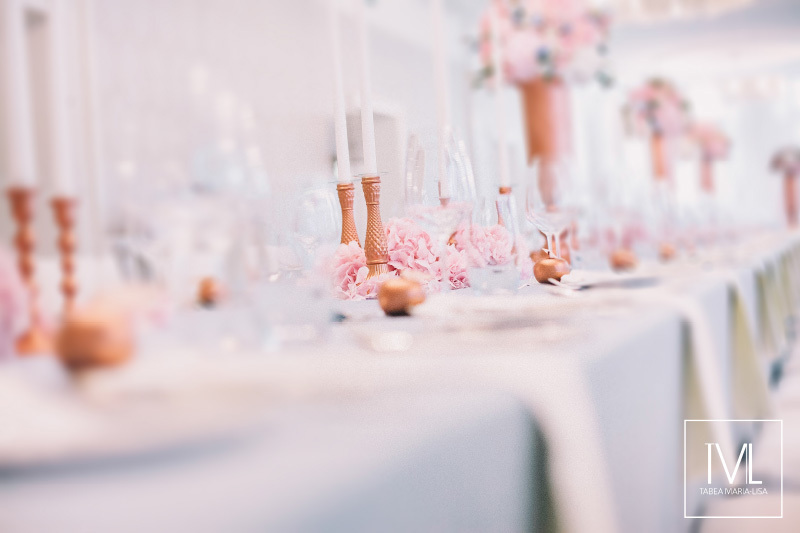 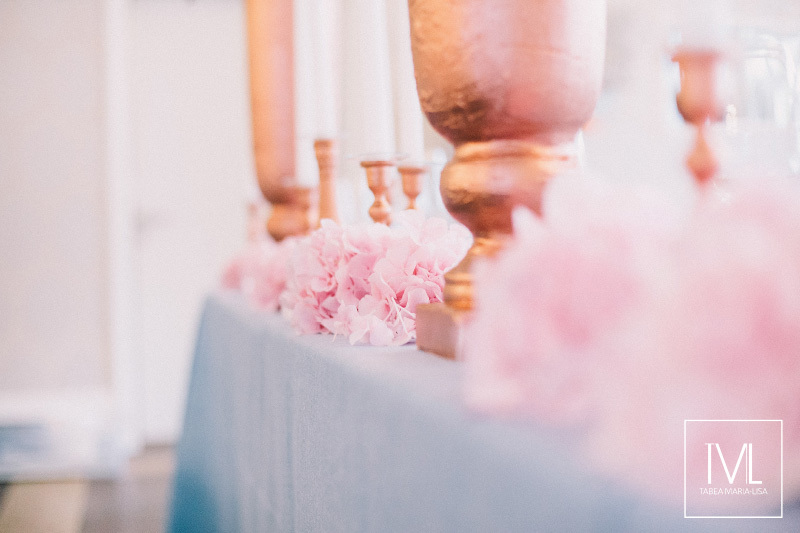 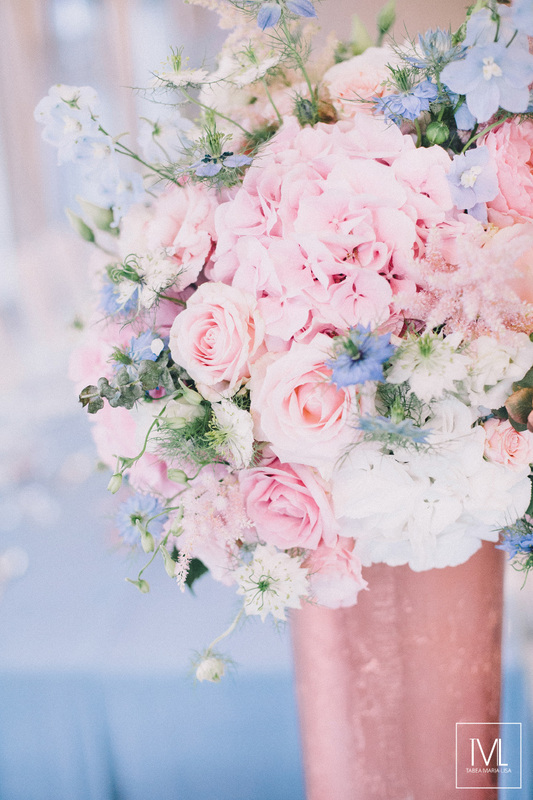 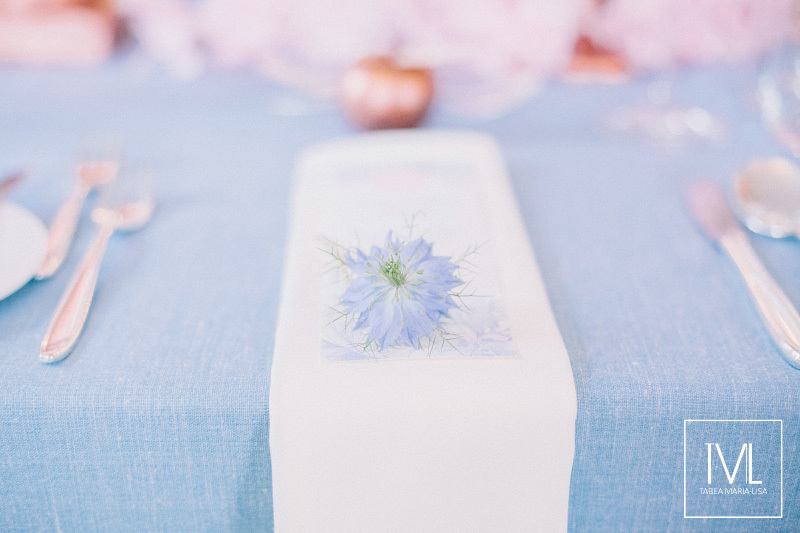 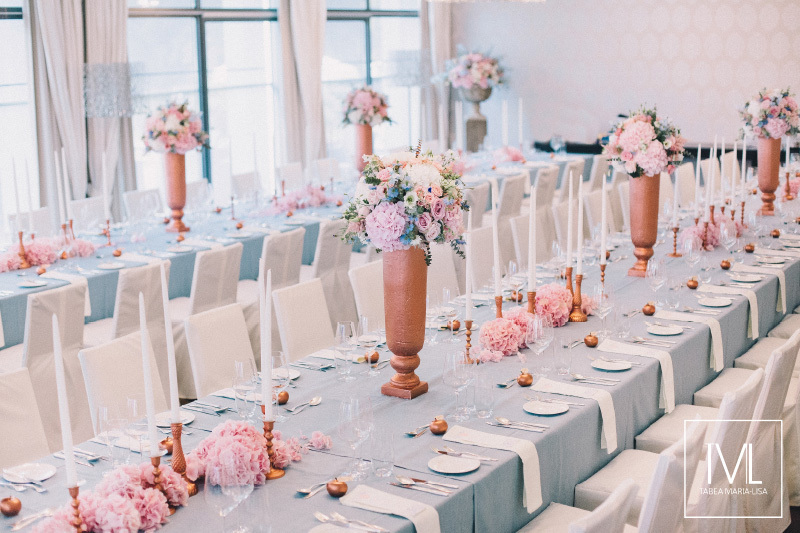 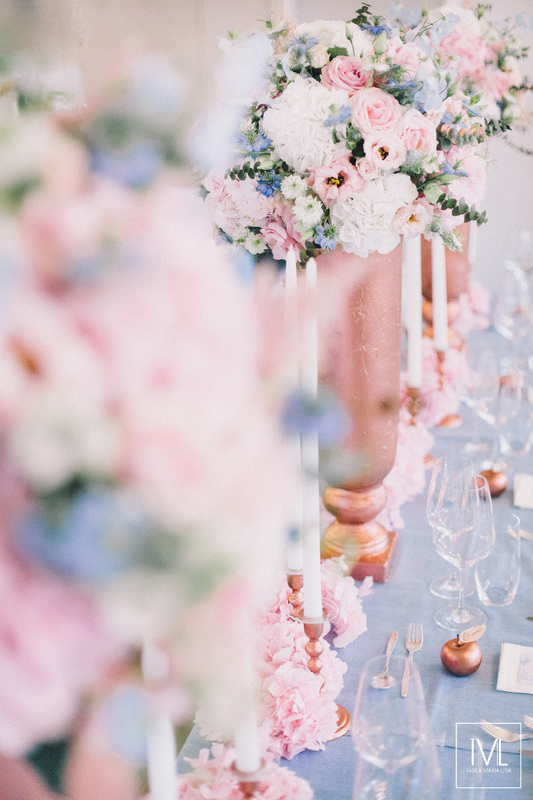 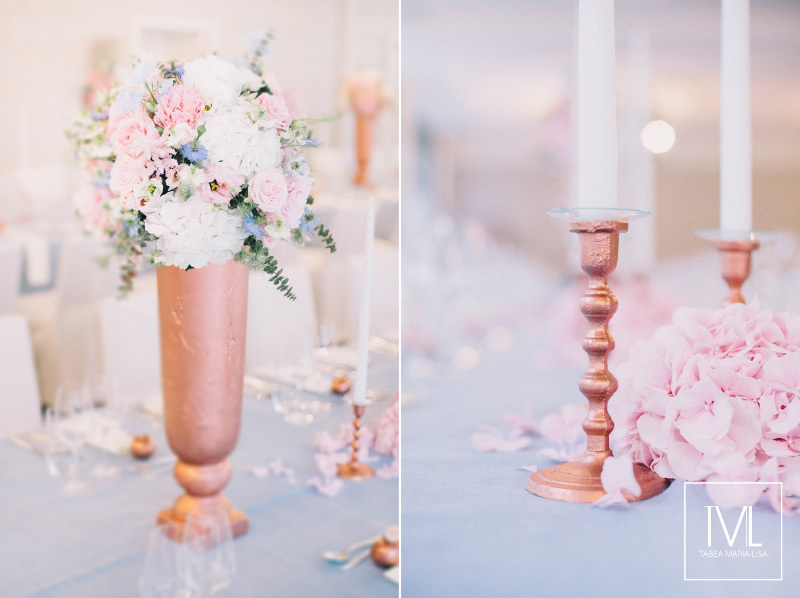 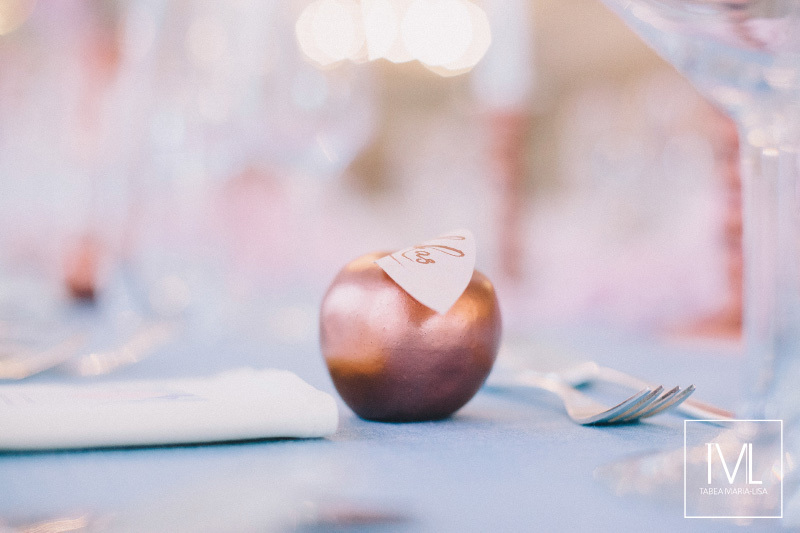 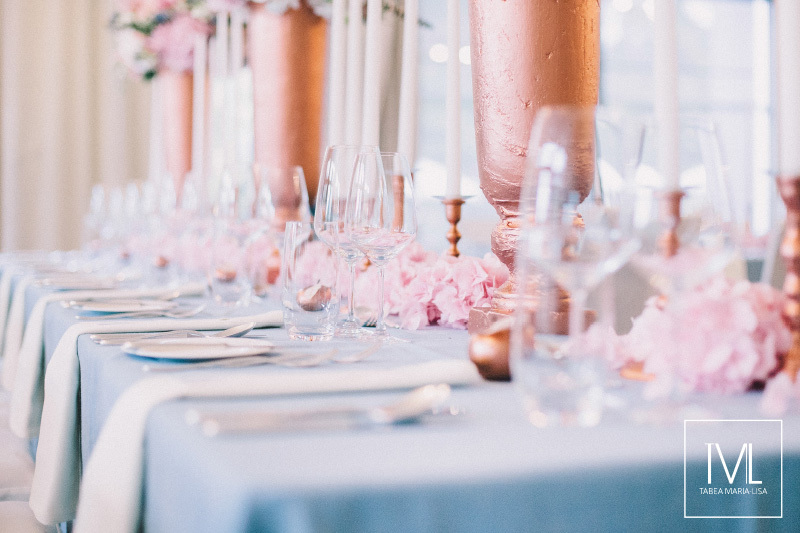 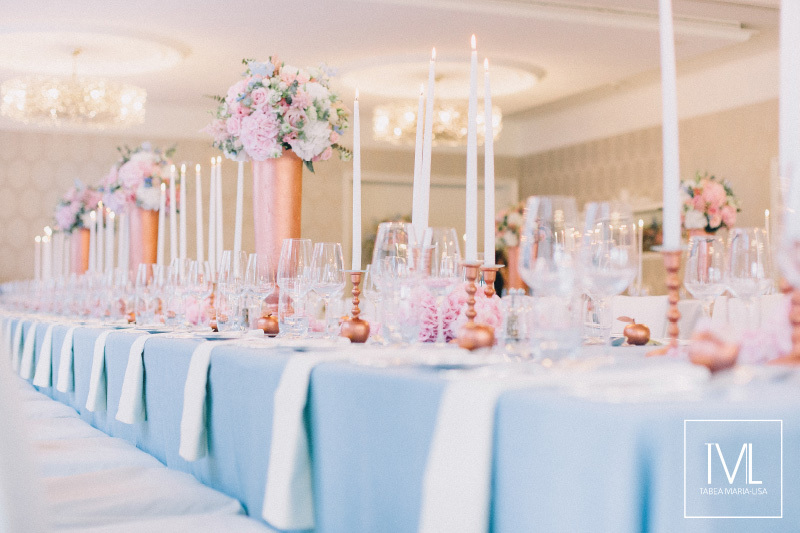 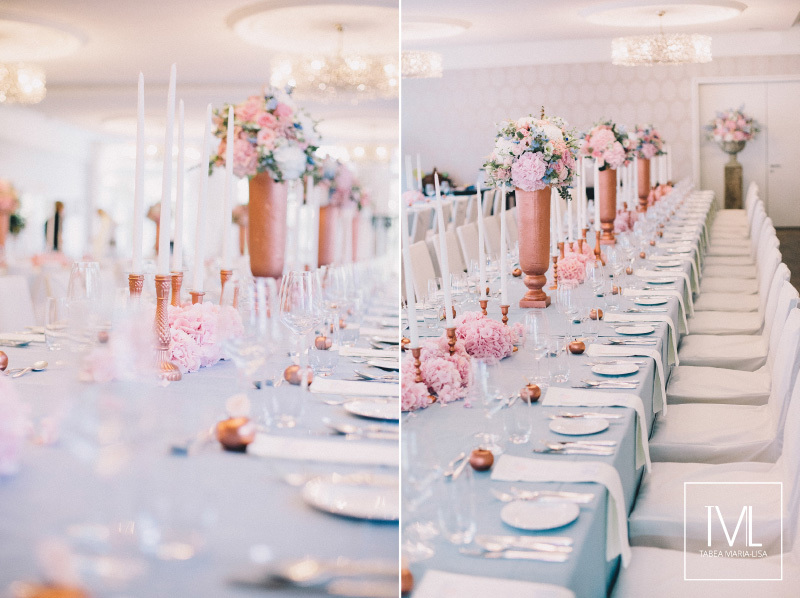 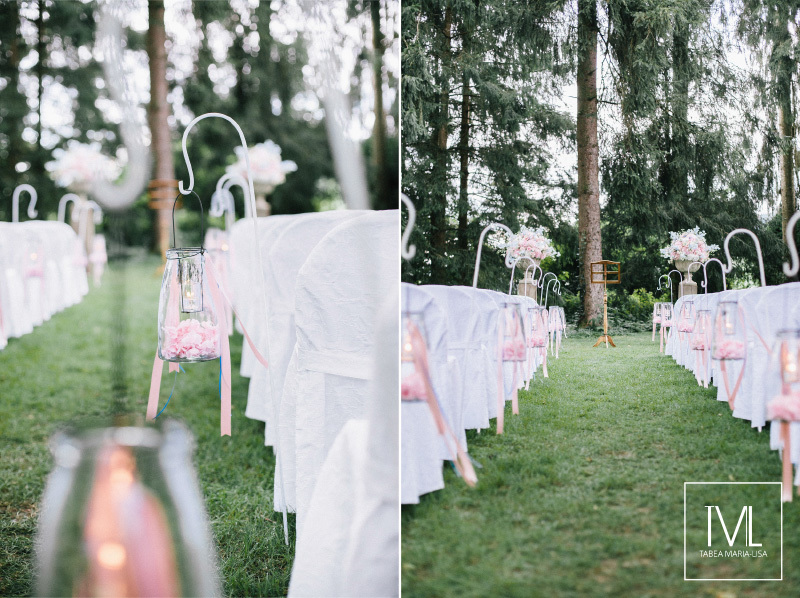 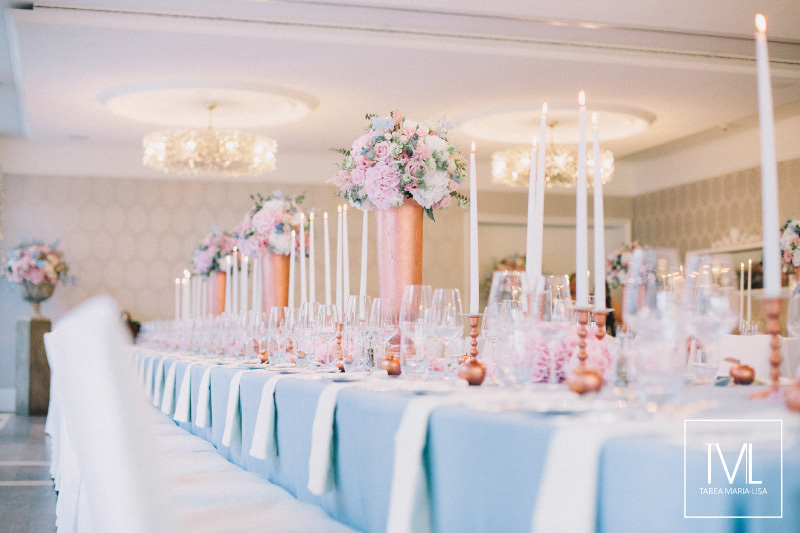 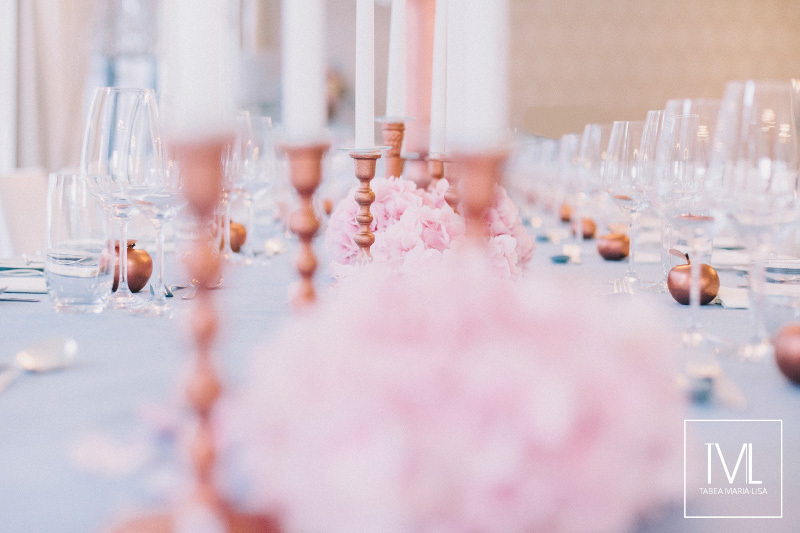 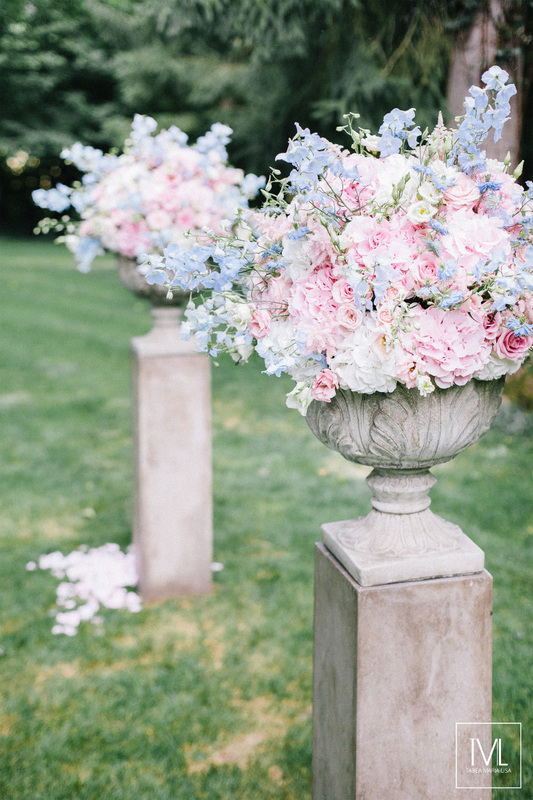 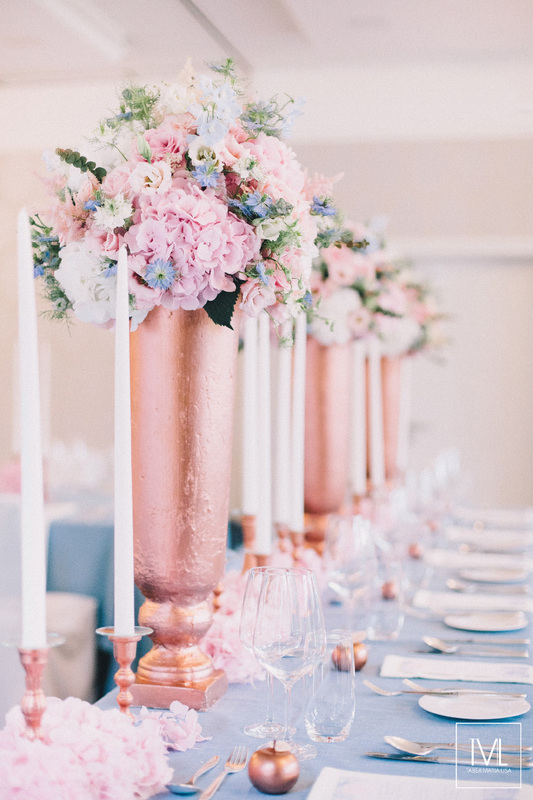 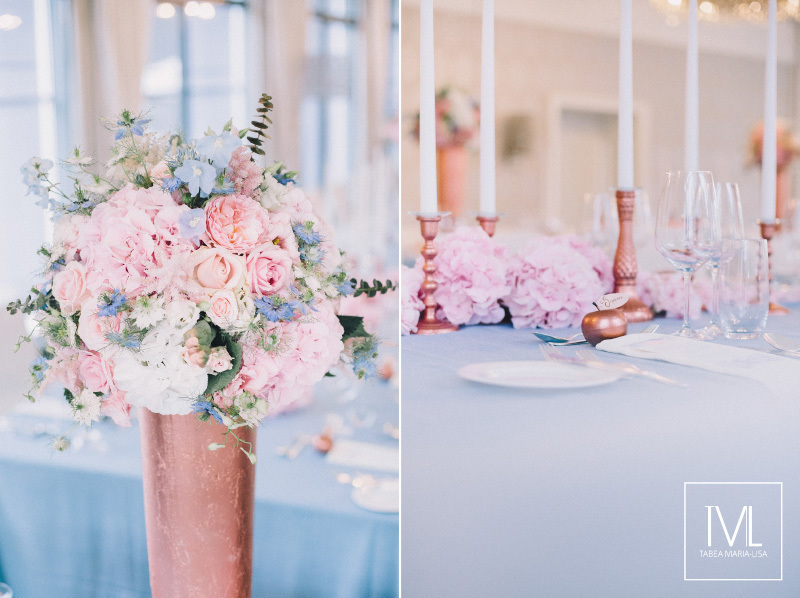 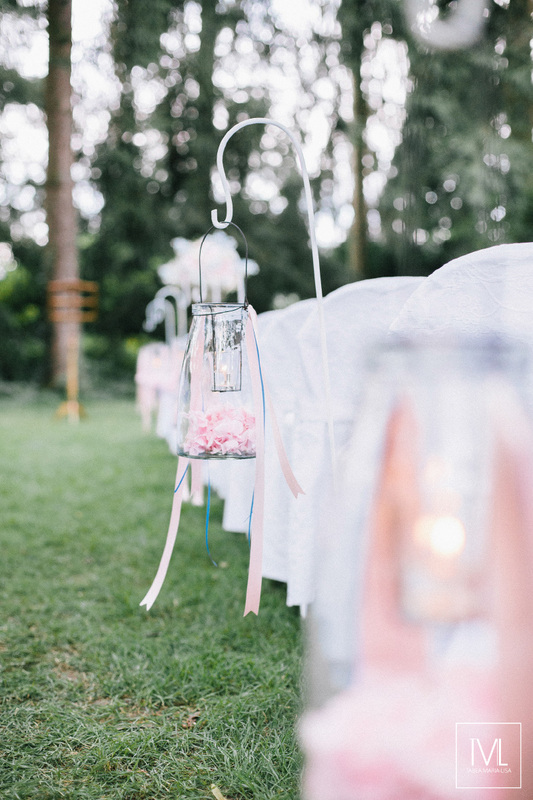 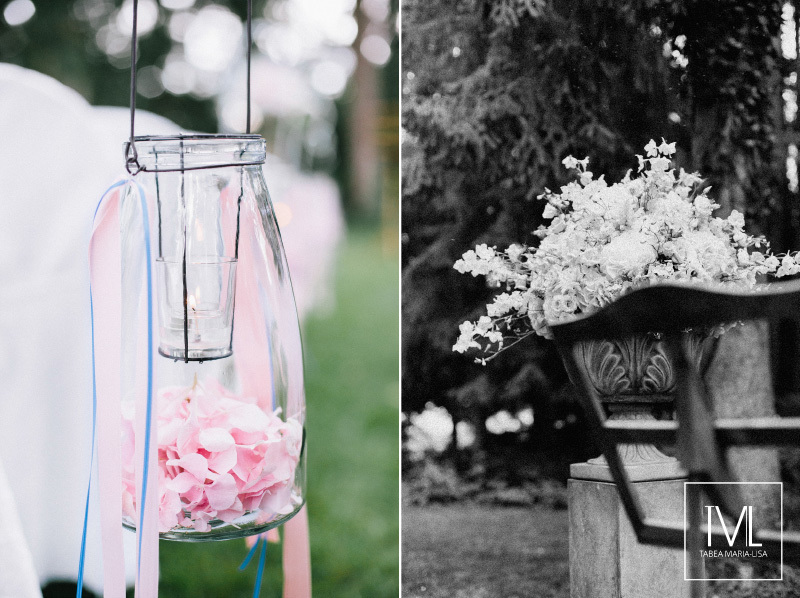 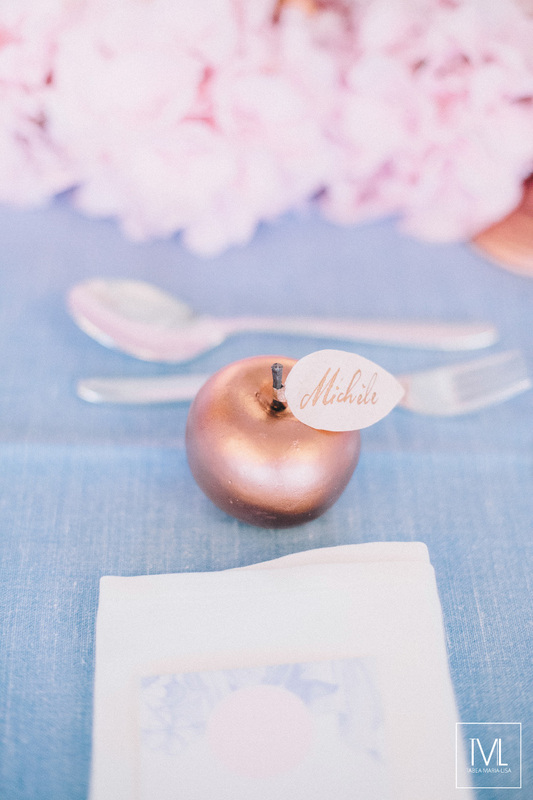 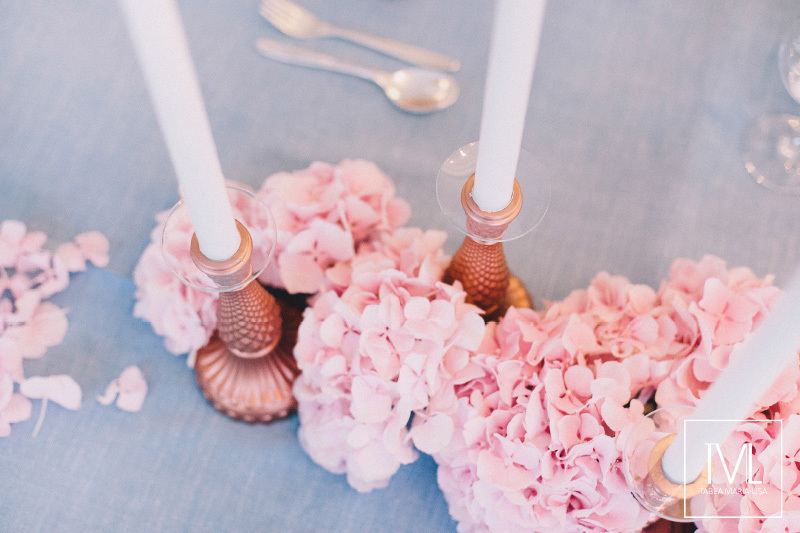 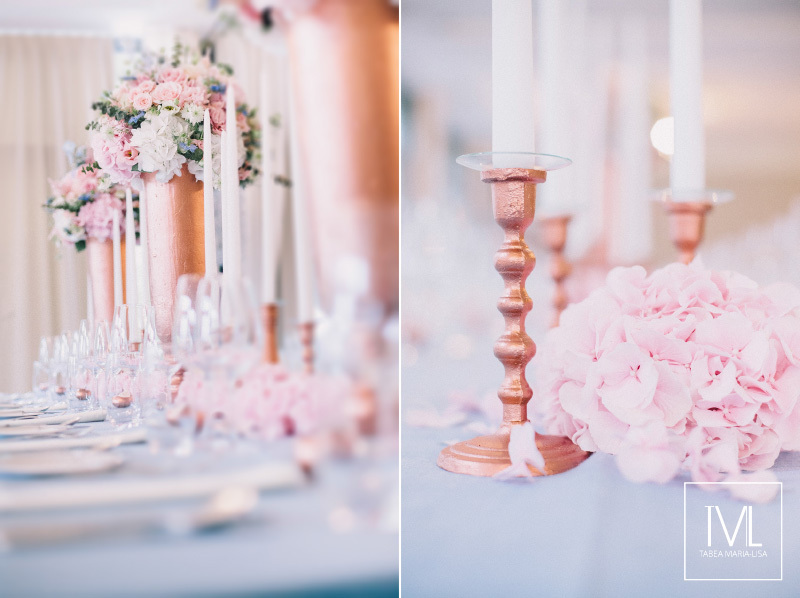 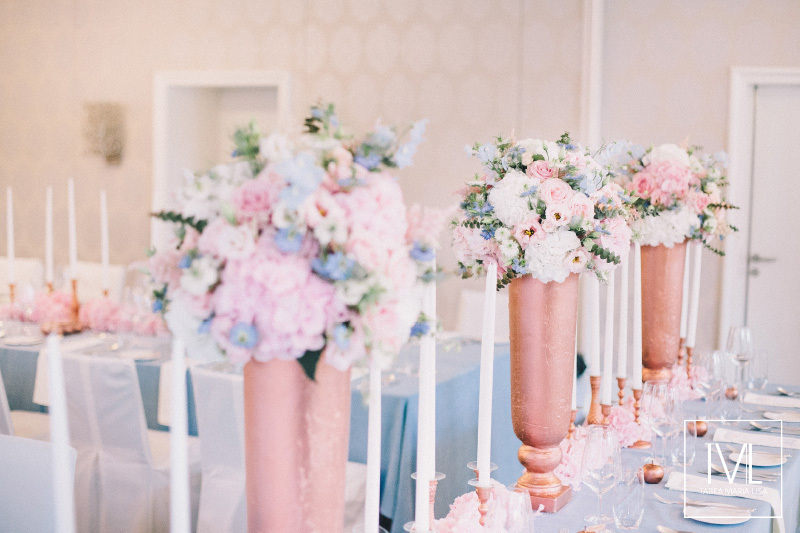 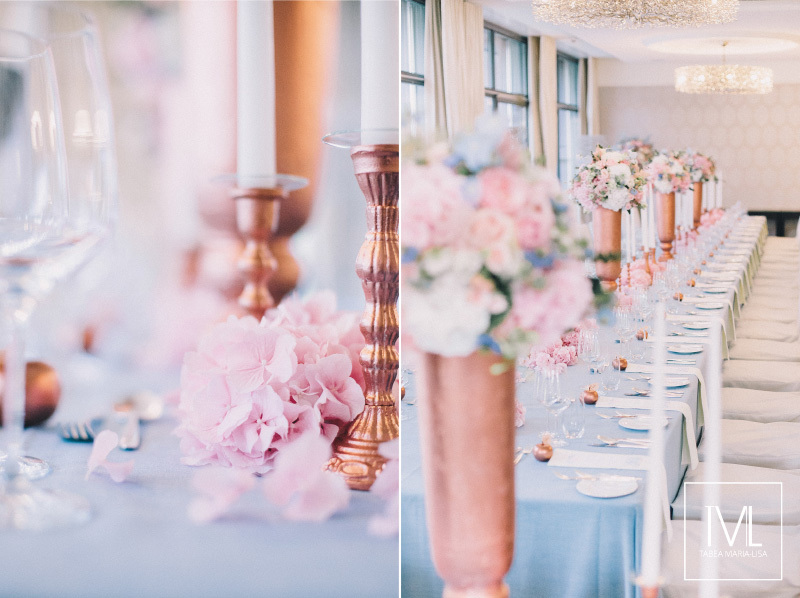 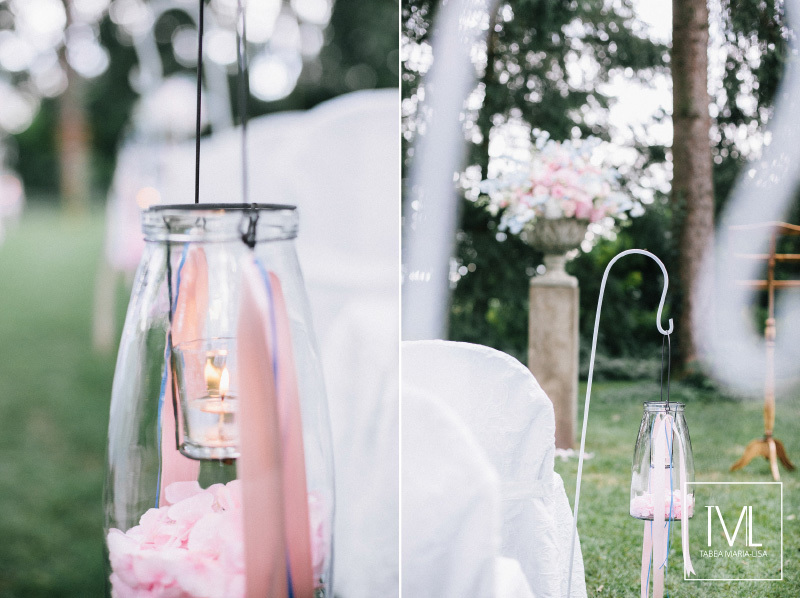 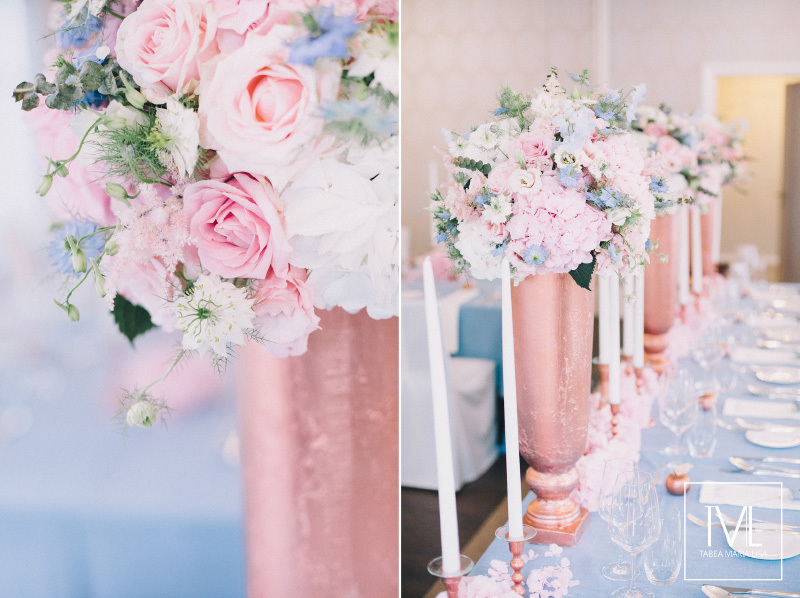 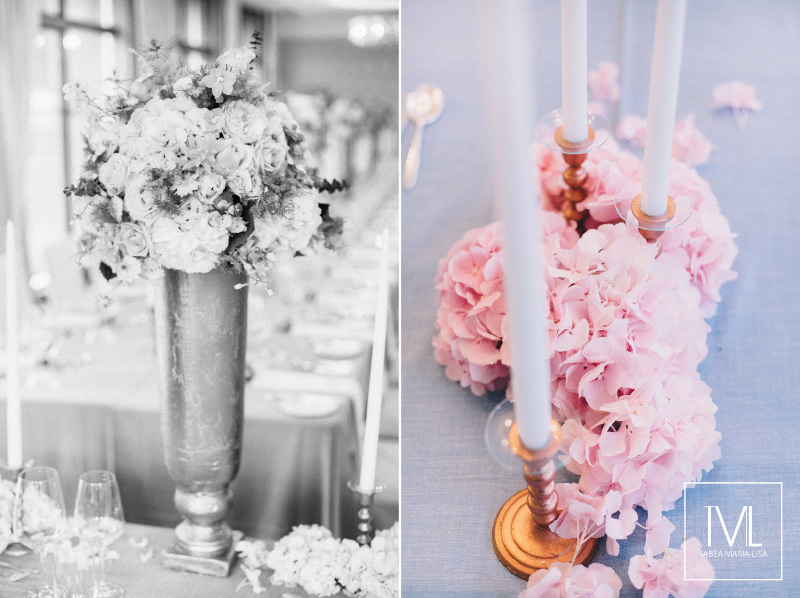 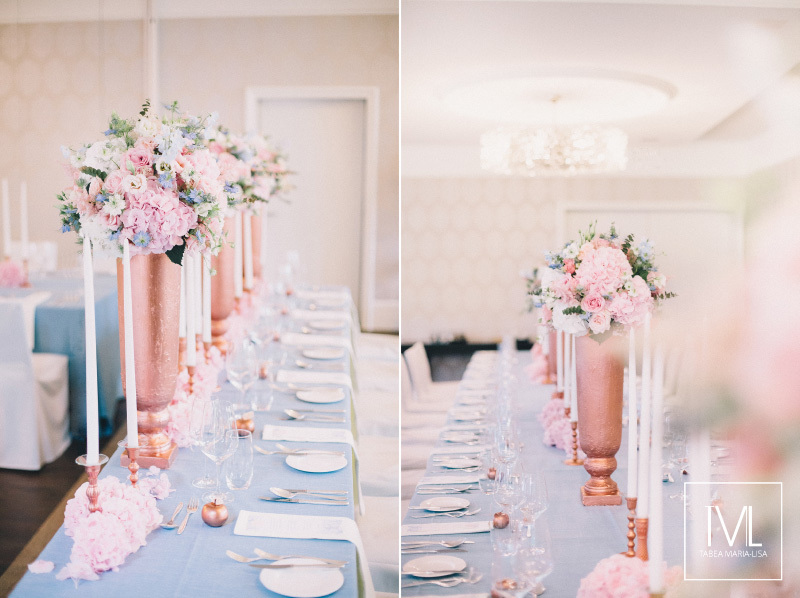 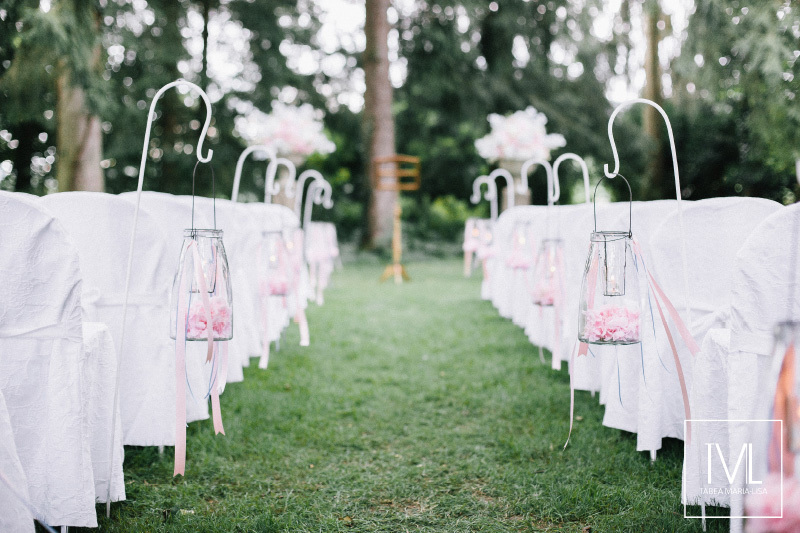 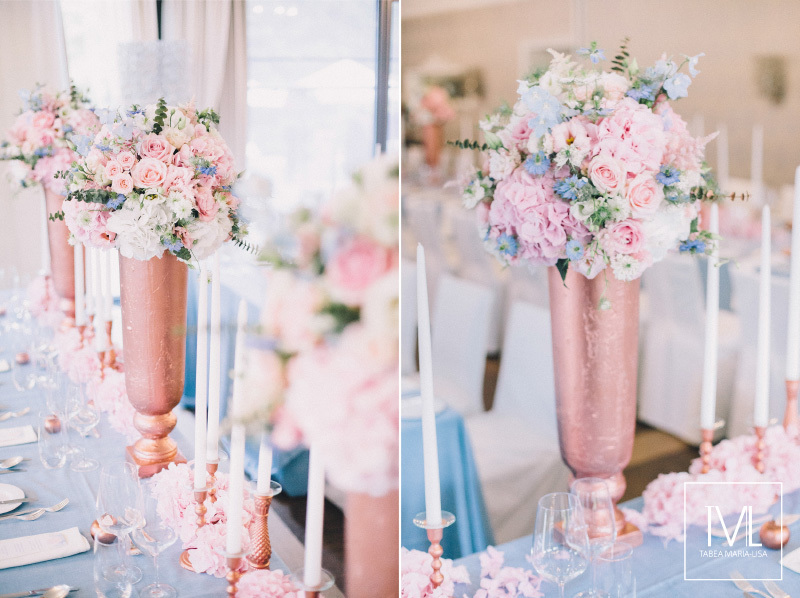 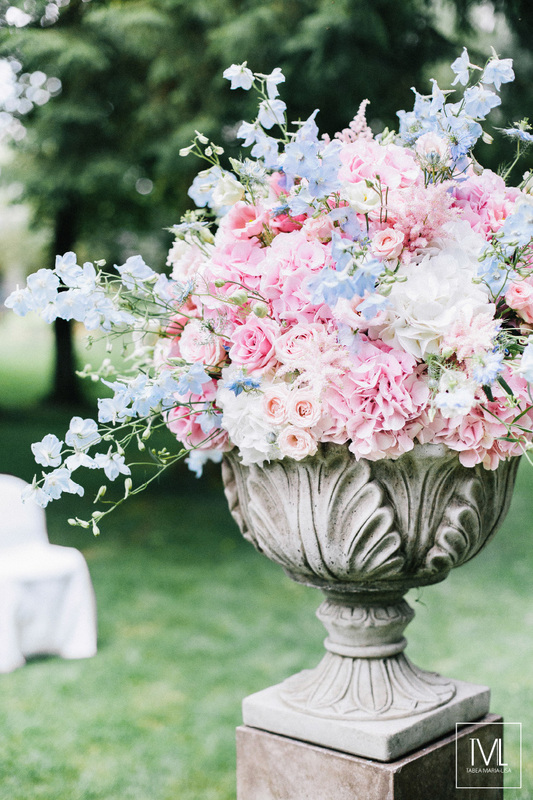 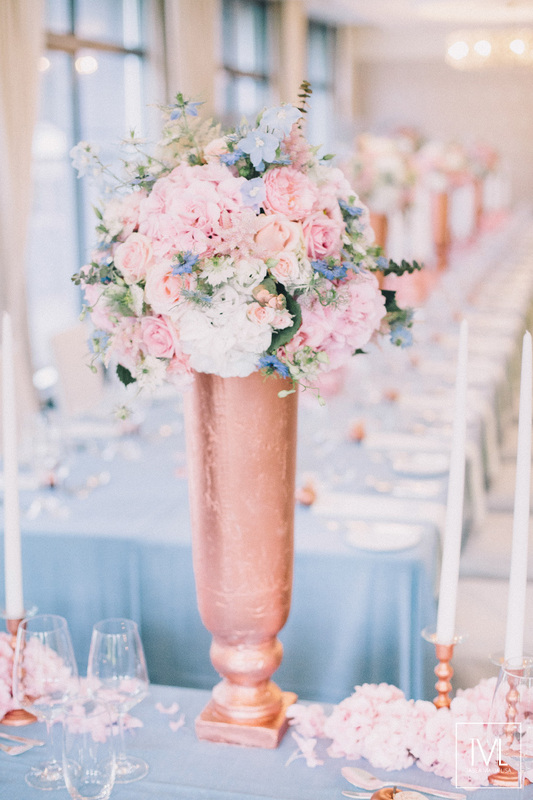 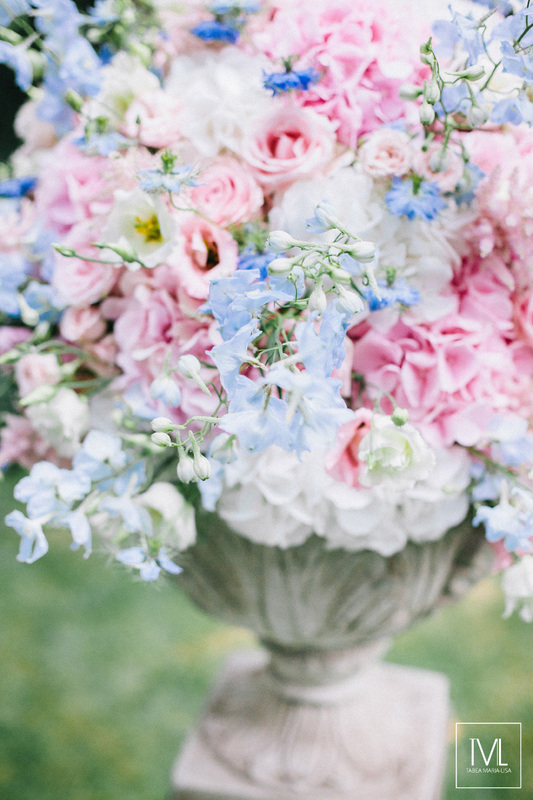 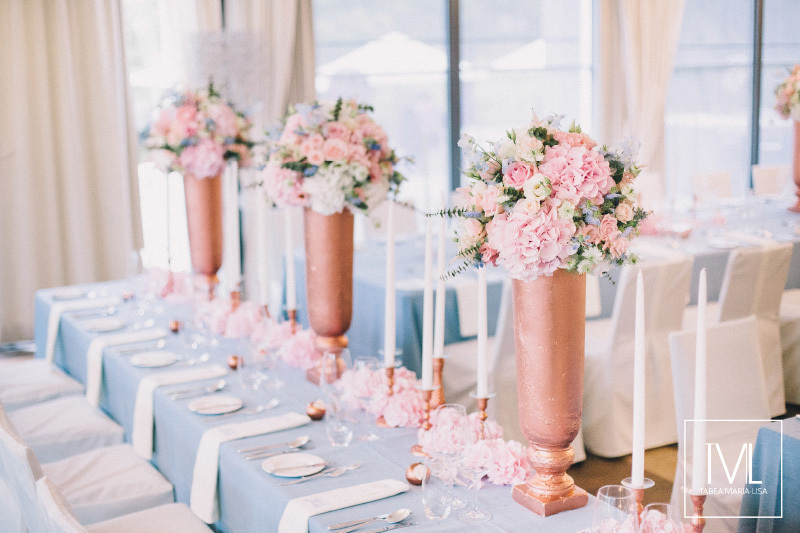 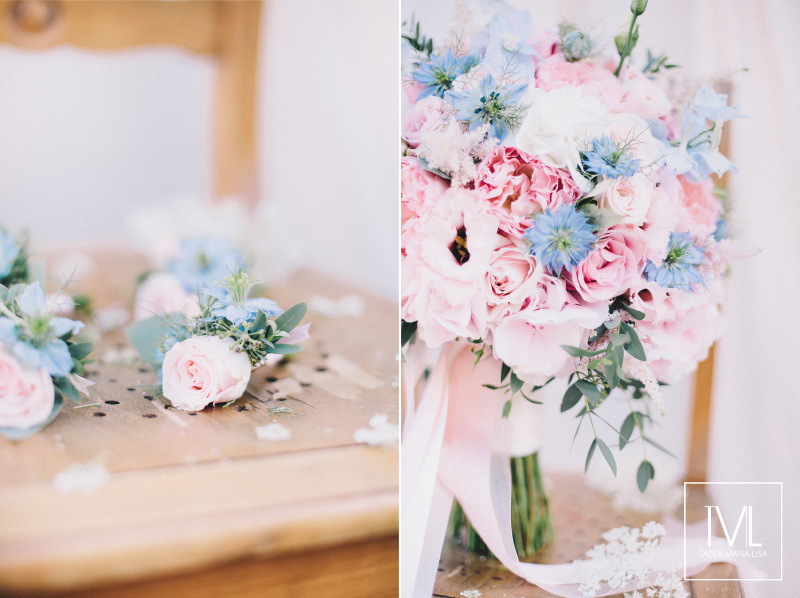 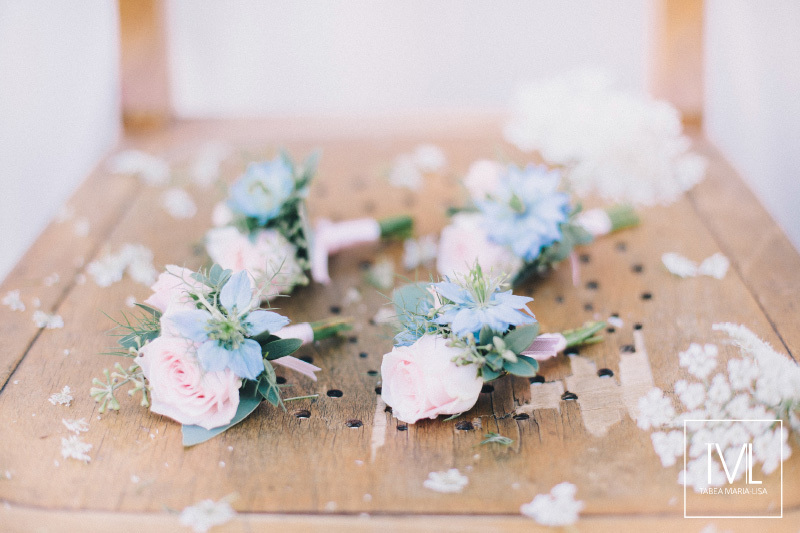 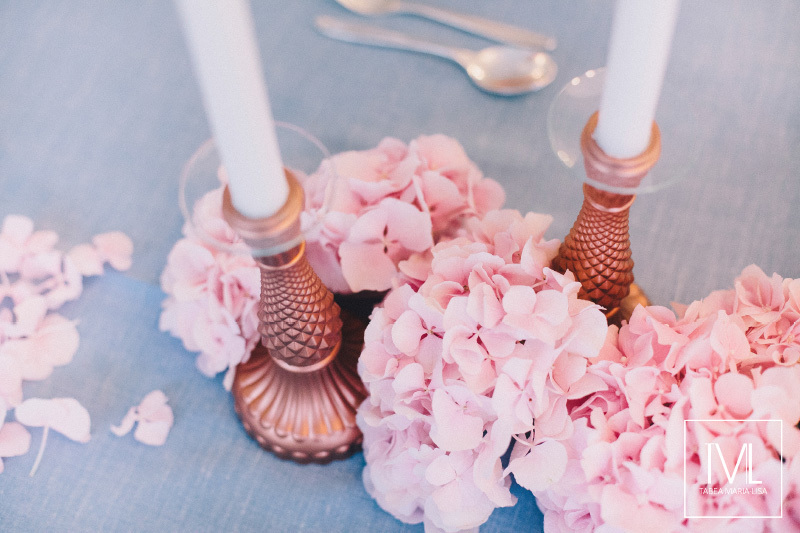 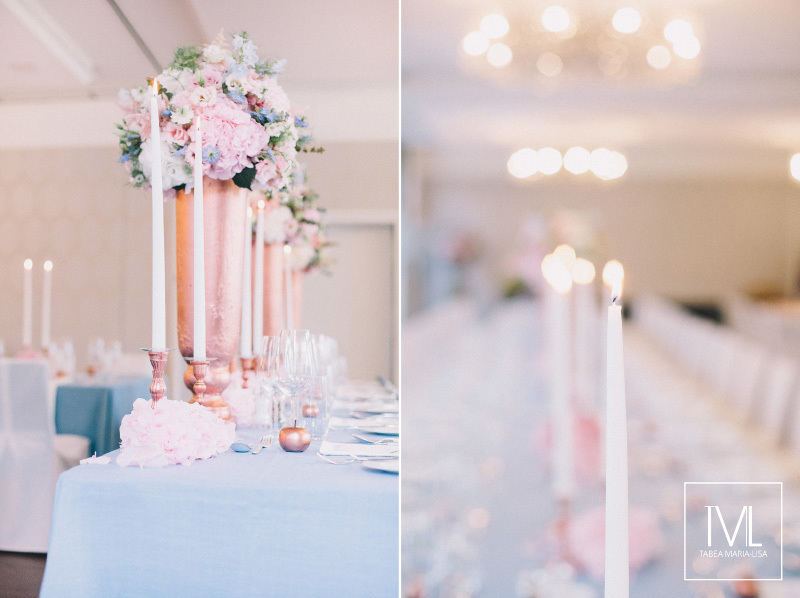 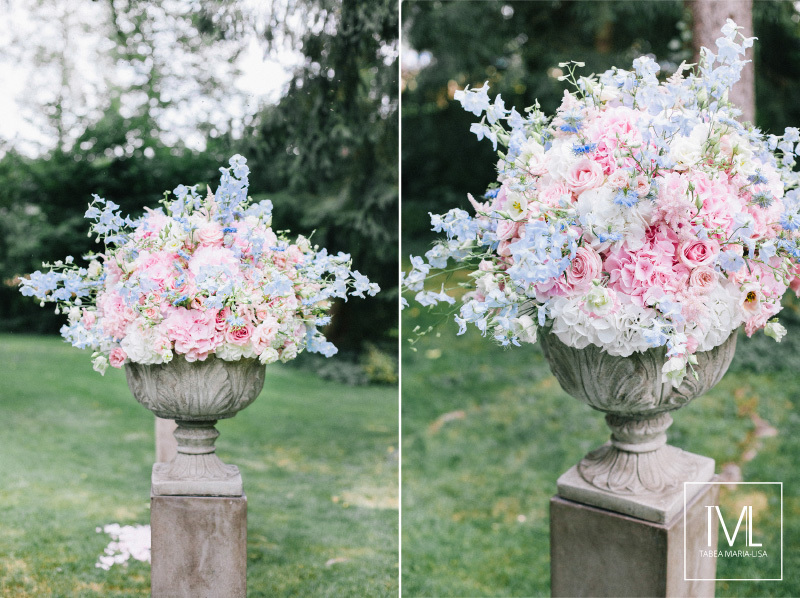 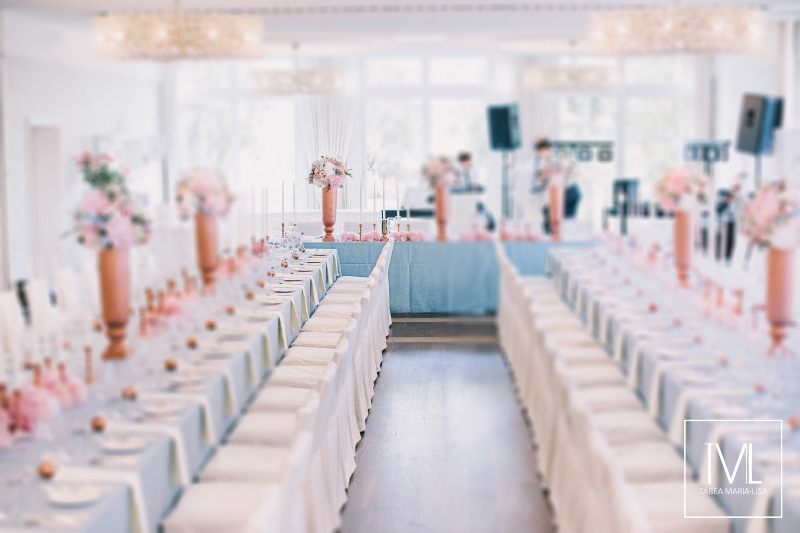 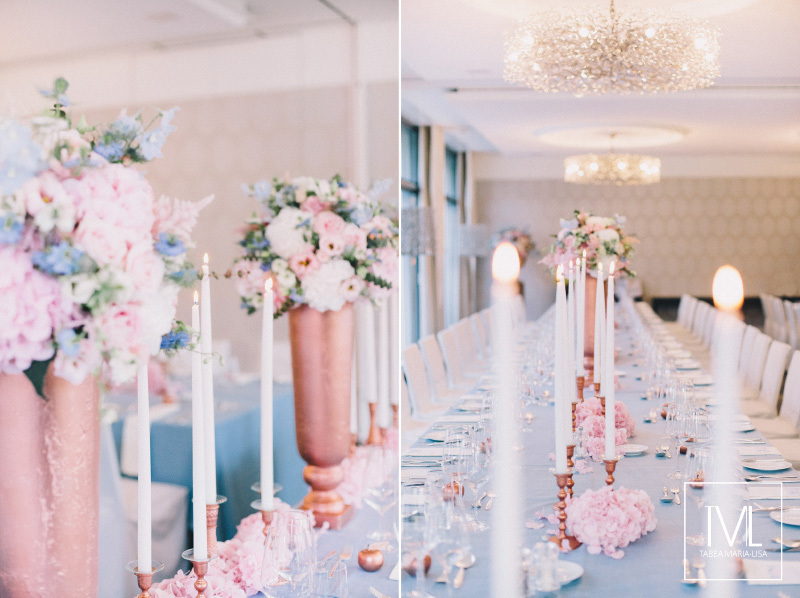 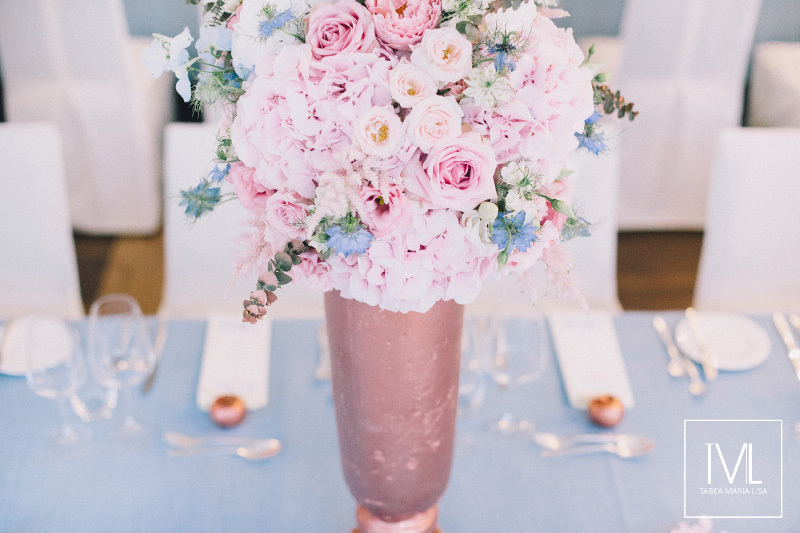 Hope you like our floral design and wedding styling in the Pantone trend colors of 2016 – rose quartz and serenity blue – and some copper. 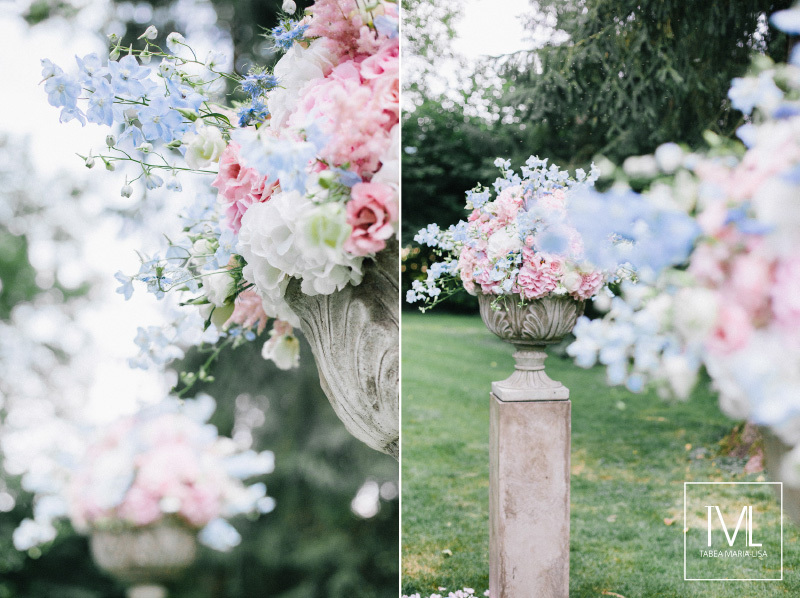 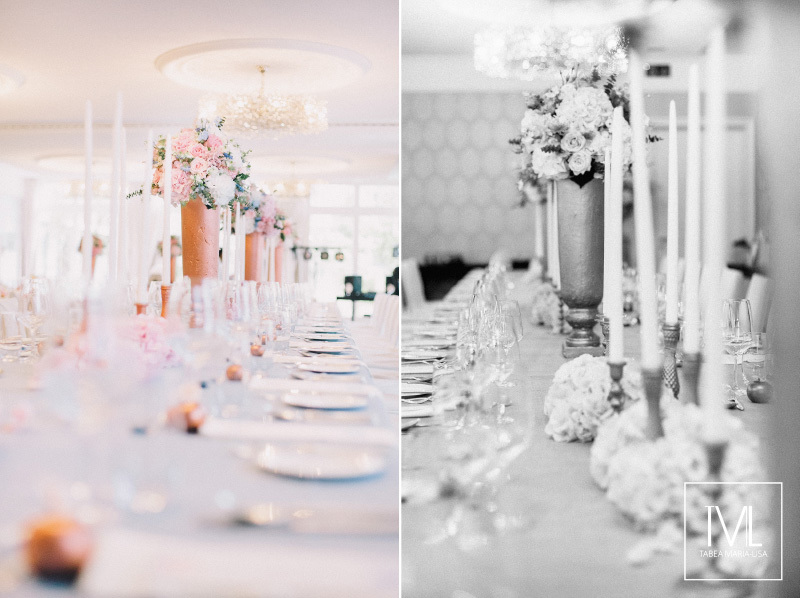 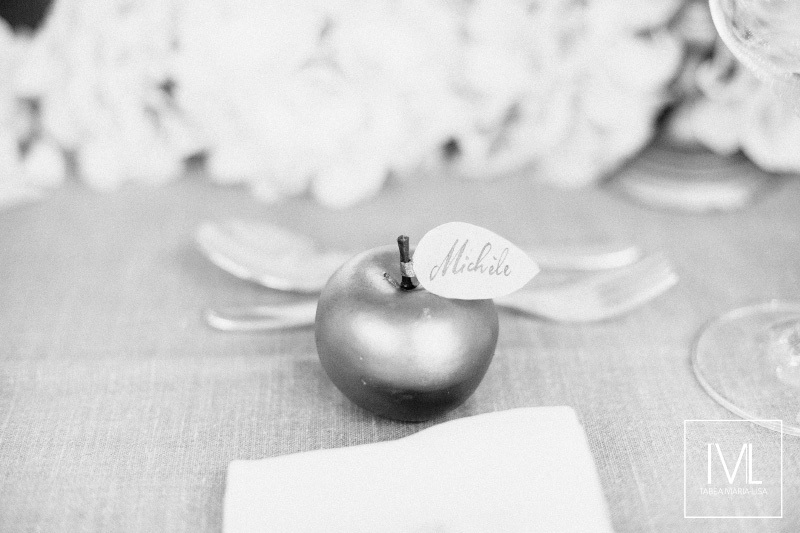 Thank you M. & E. for just everything – it was our great honor to do your floral design and wedding styling and I won’t forget you two. 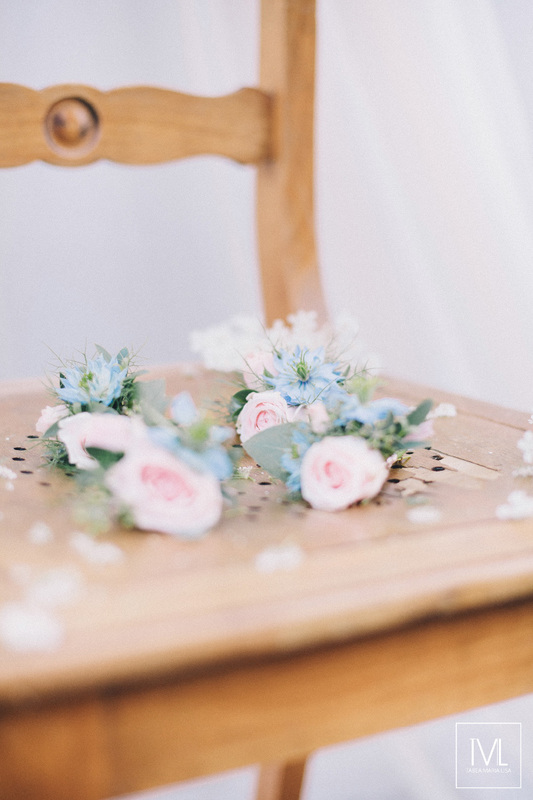 Stay as lovely, kind and style-conscious as you are! 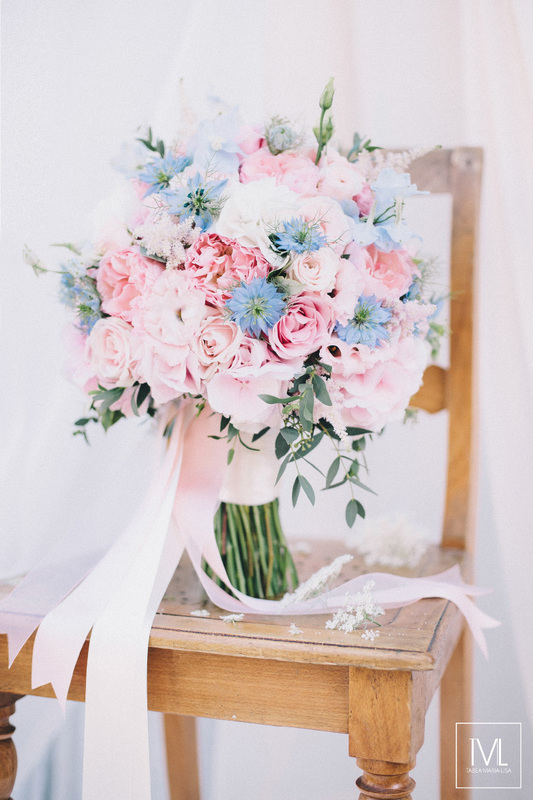 thank Y O U so much!